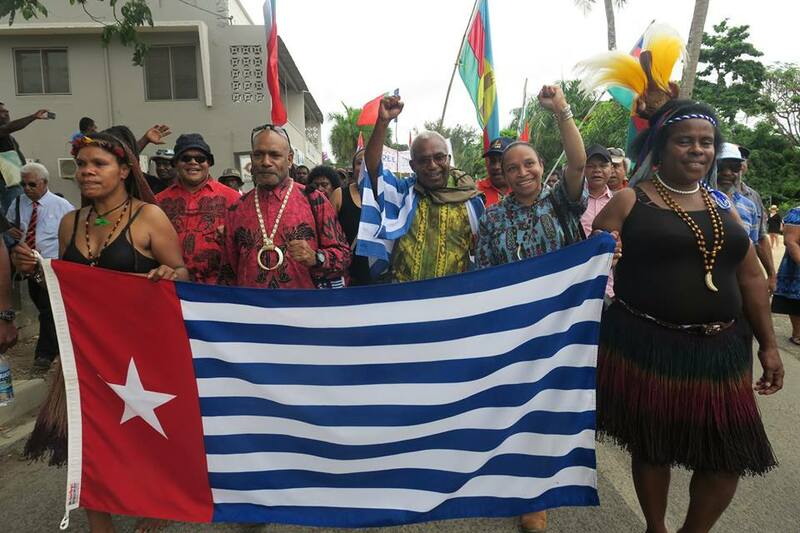 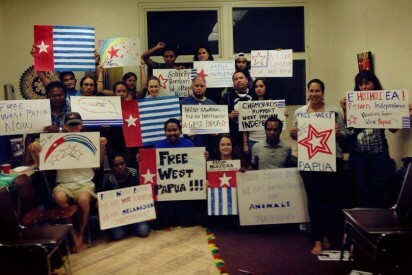 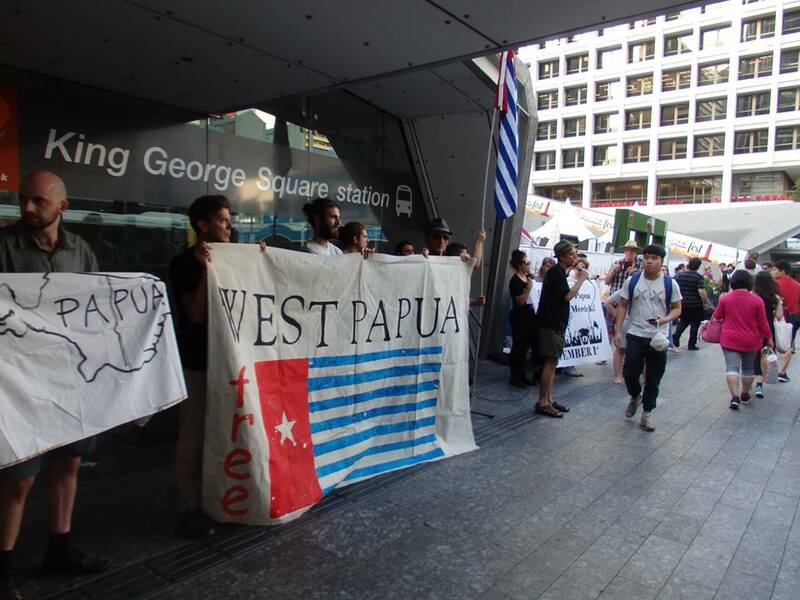 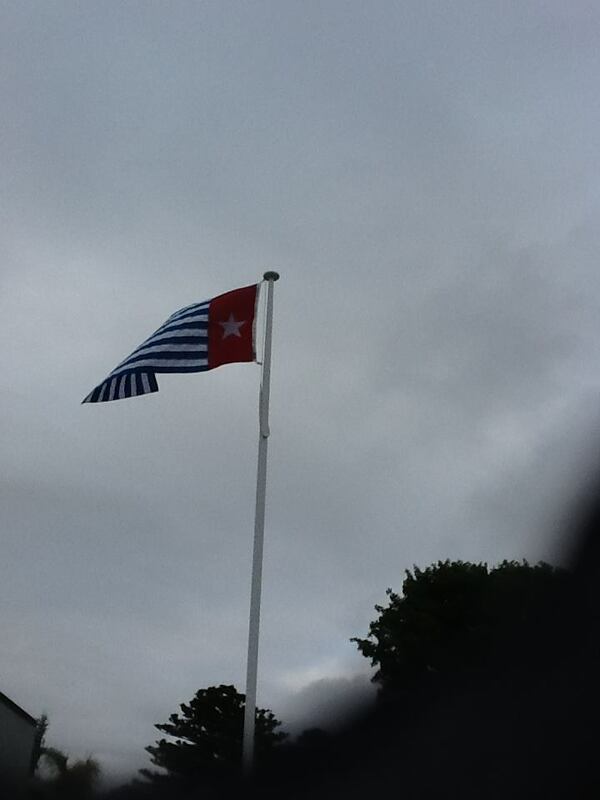 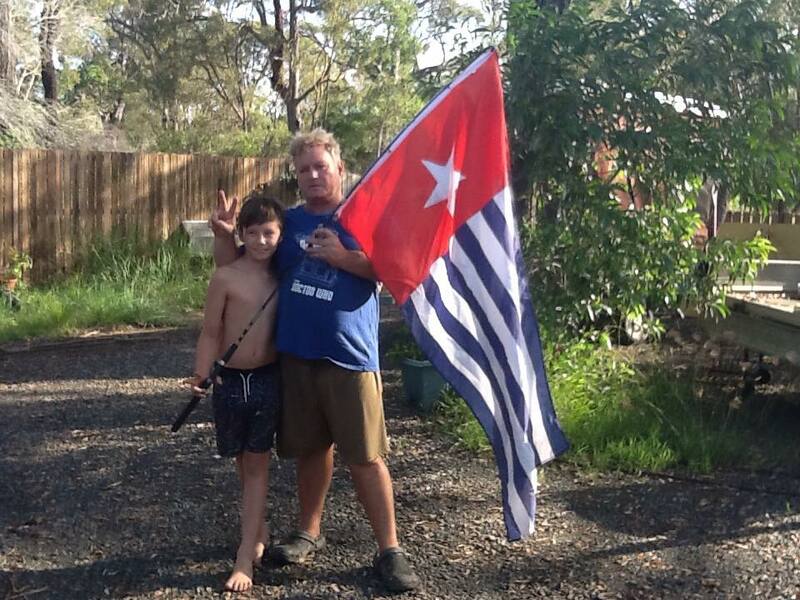 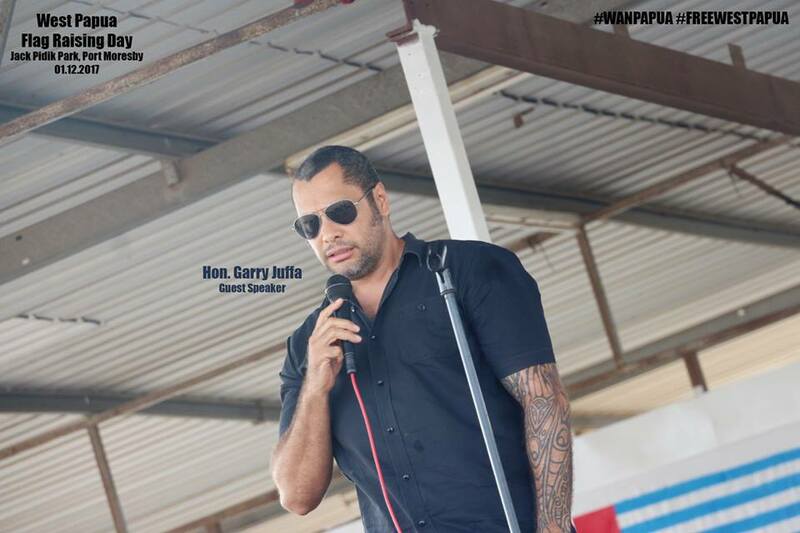 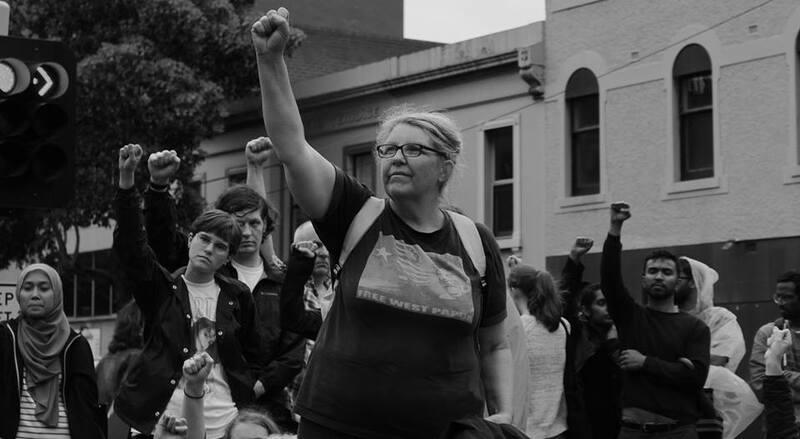 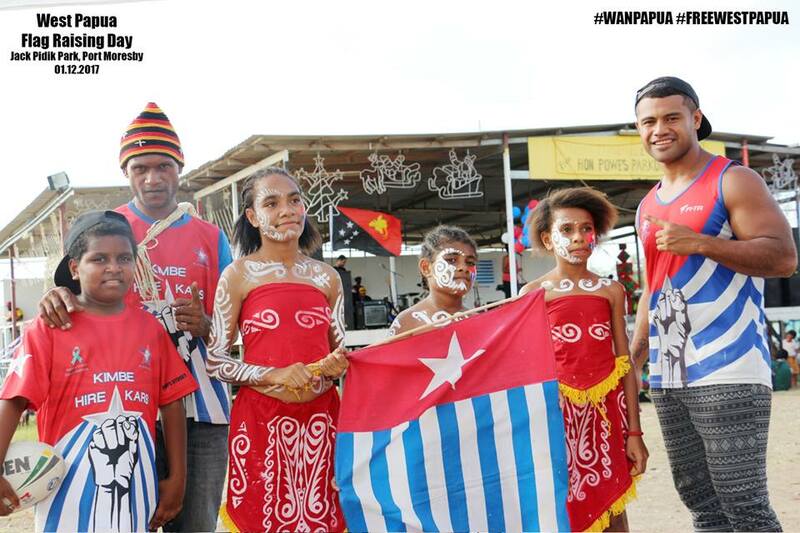 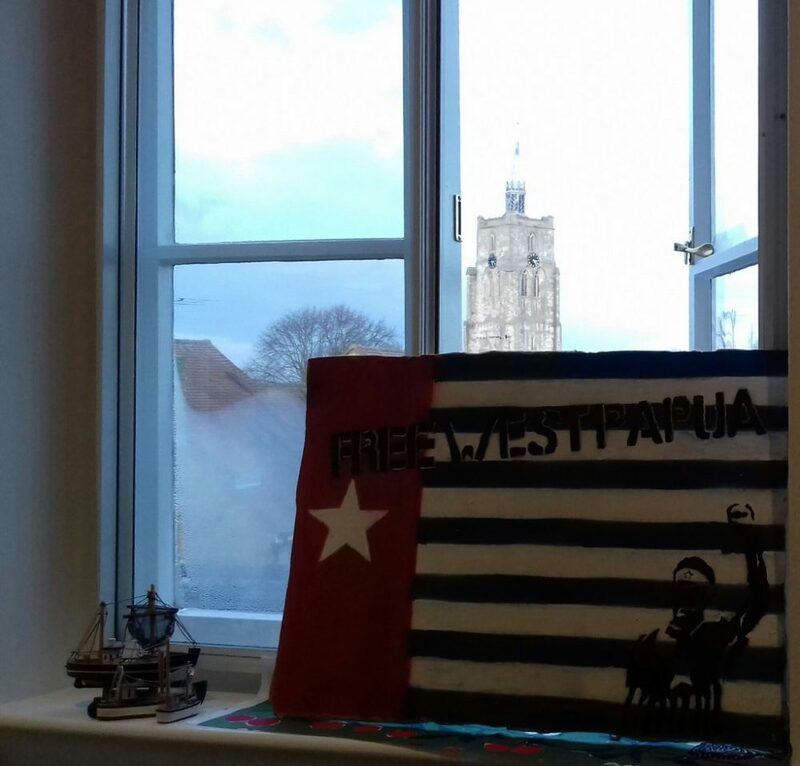 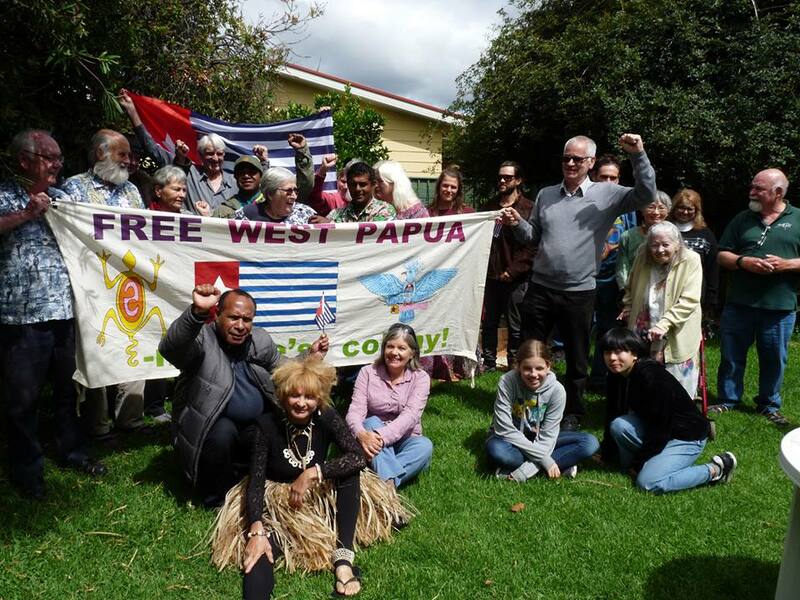 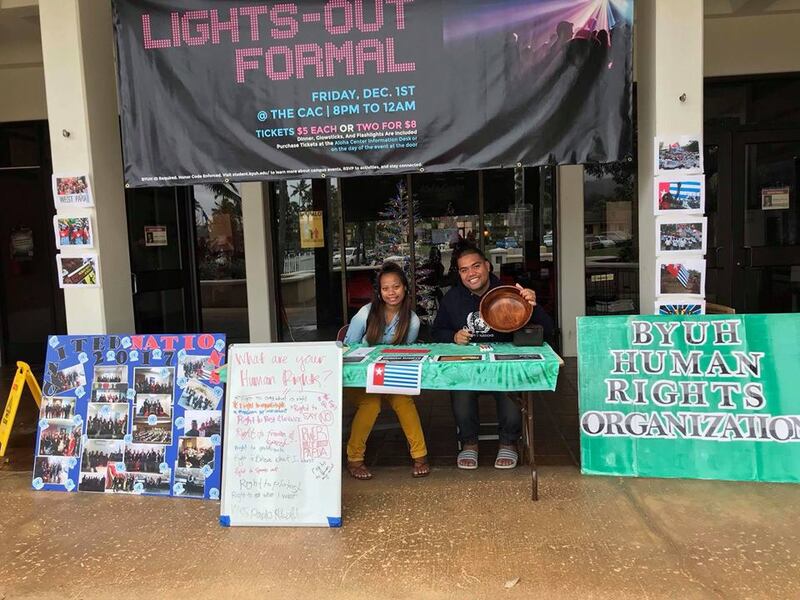 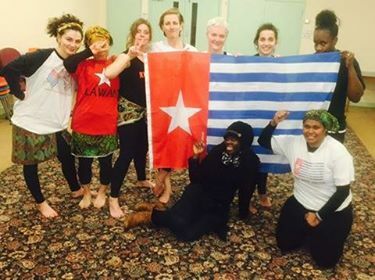 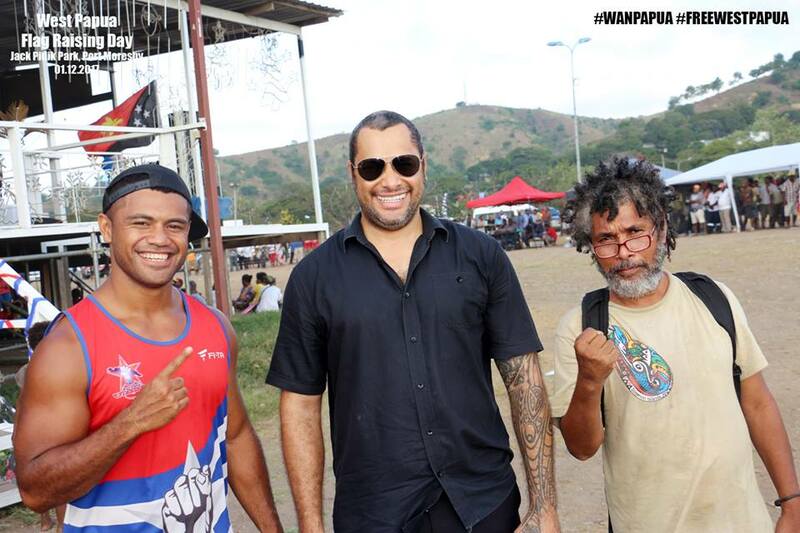 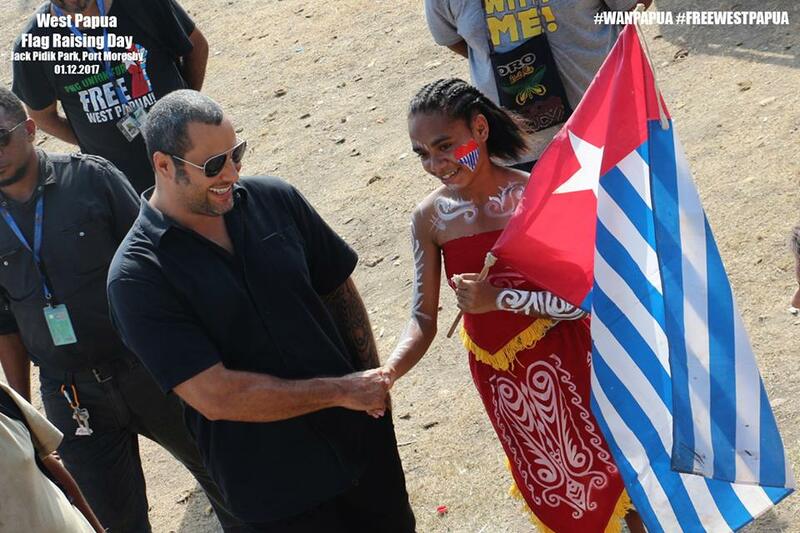 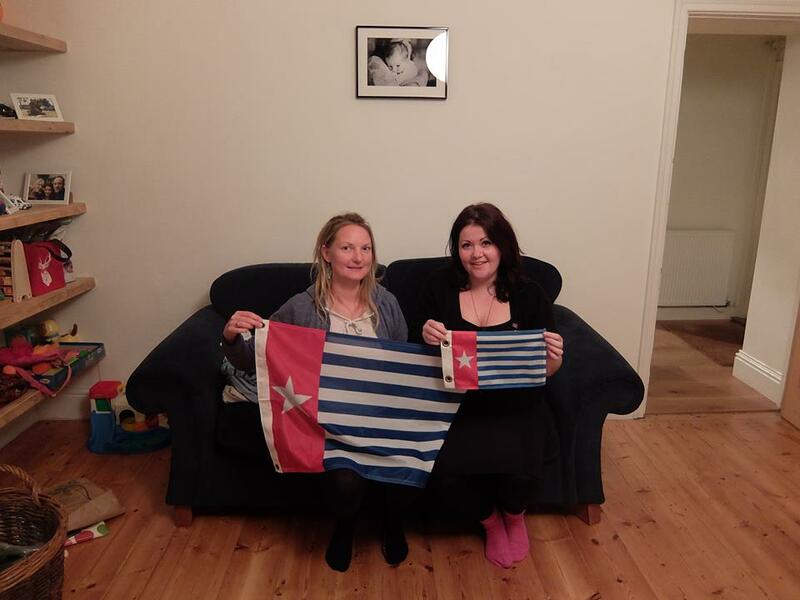 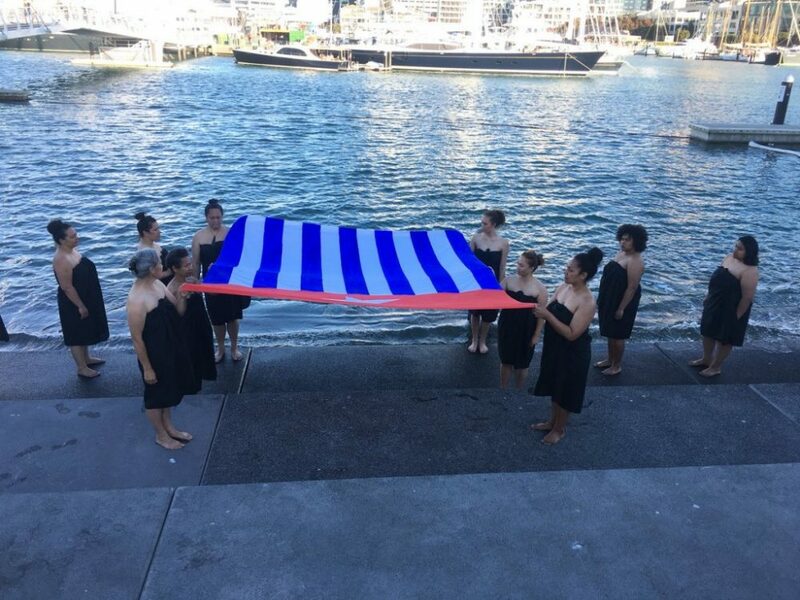 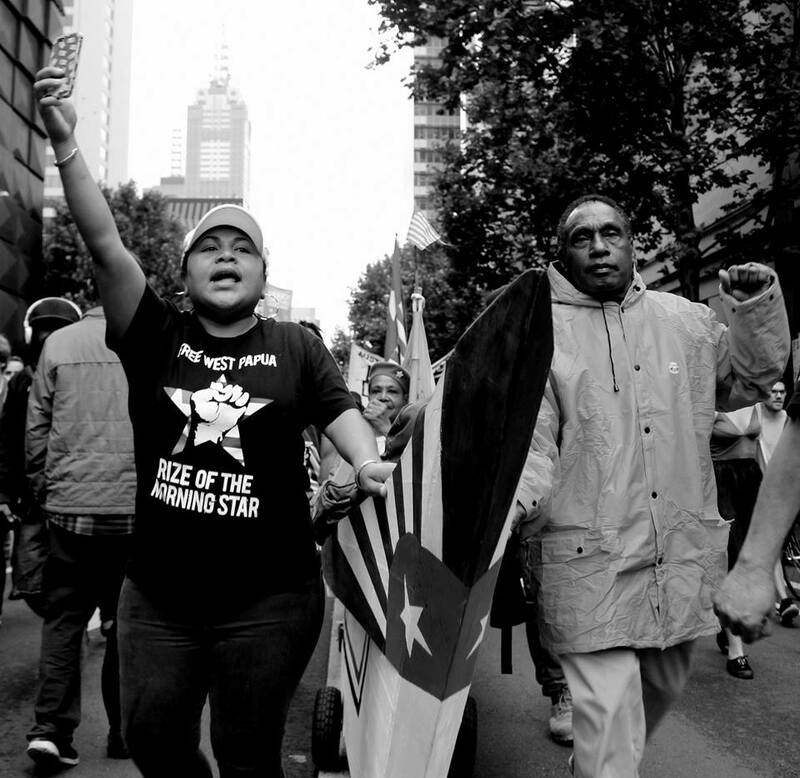 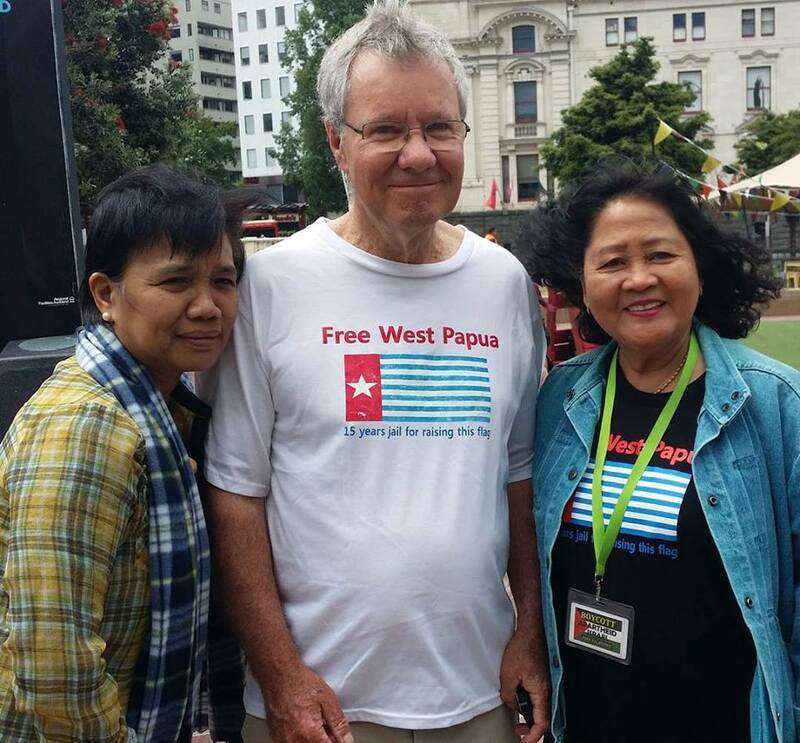 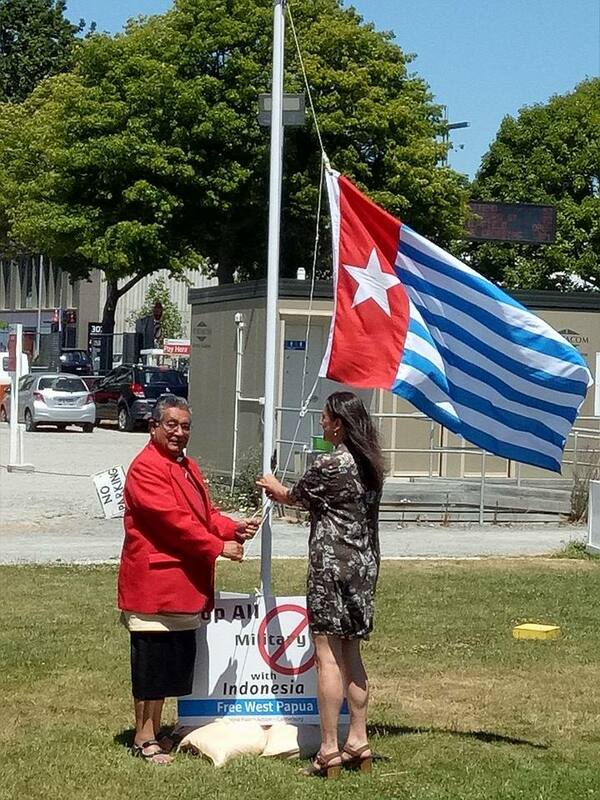 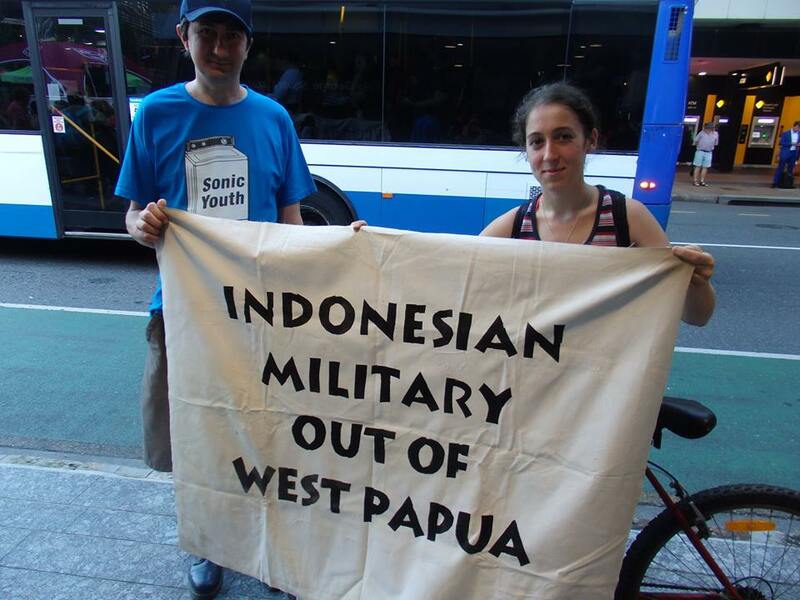 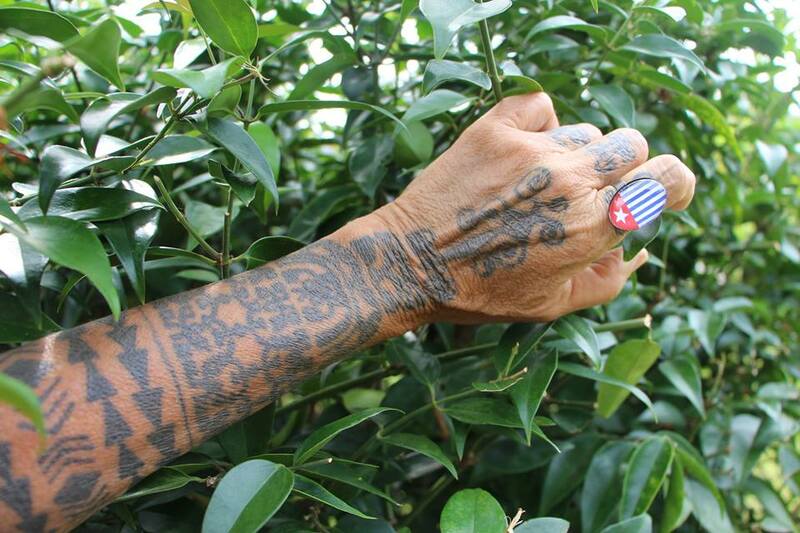 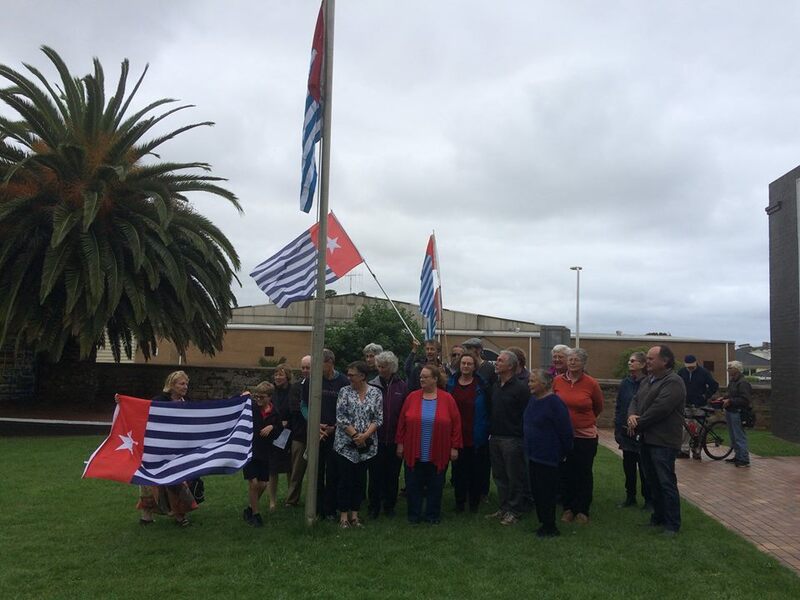 Photos and thanks after Global Flag Raising for West Papua! 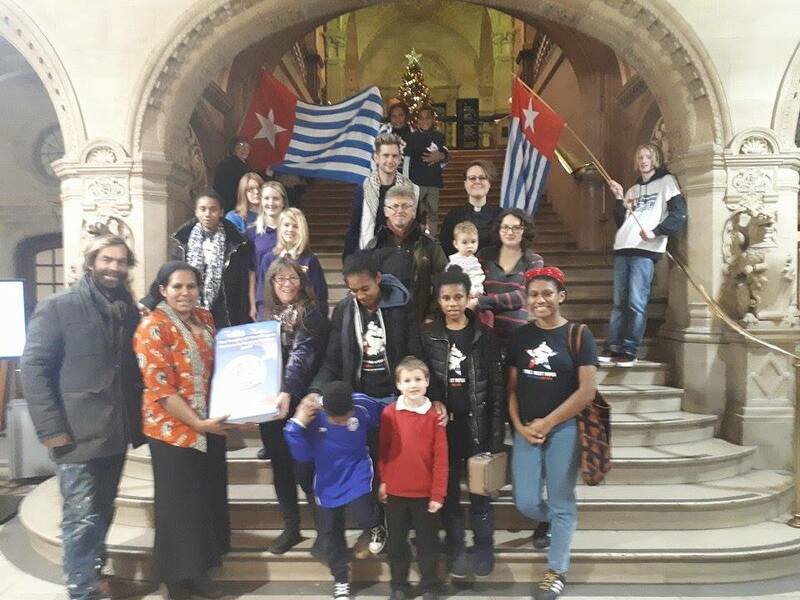 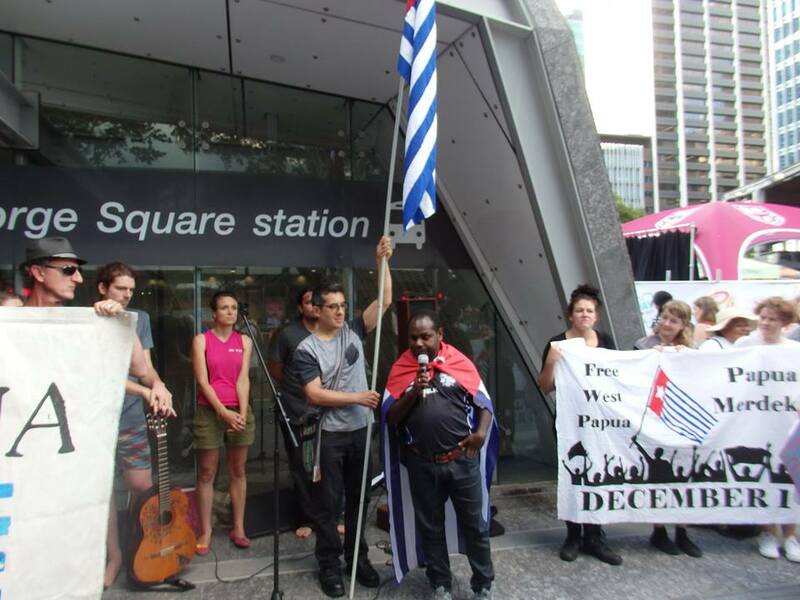 The Free West Papua Campaign would like to thank everyone who attended the historic Global Flag Raising for West Papua on 1st December. 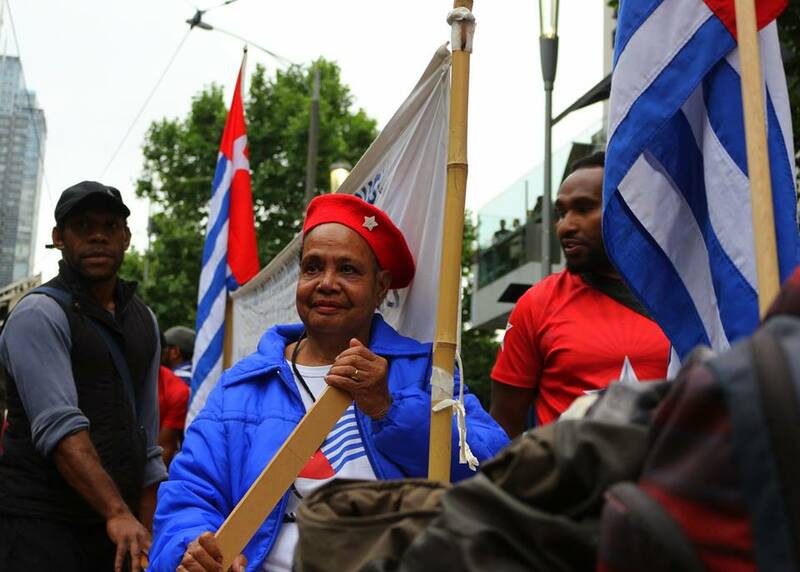 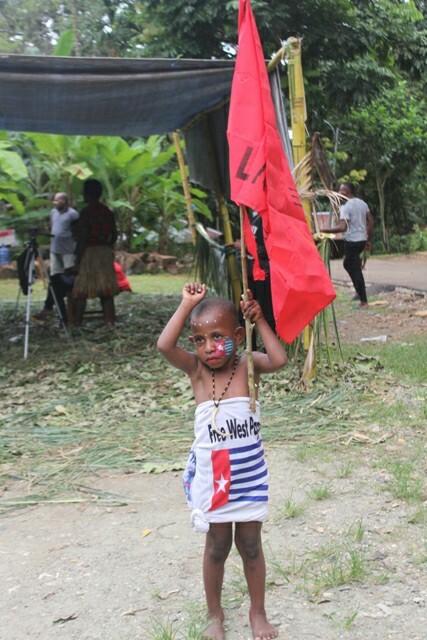 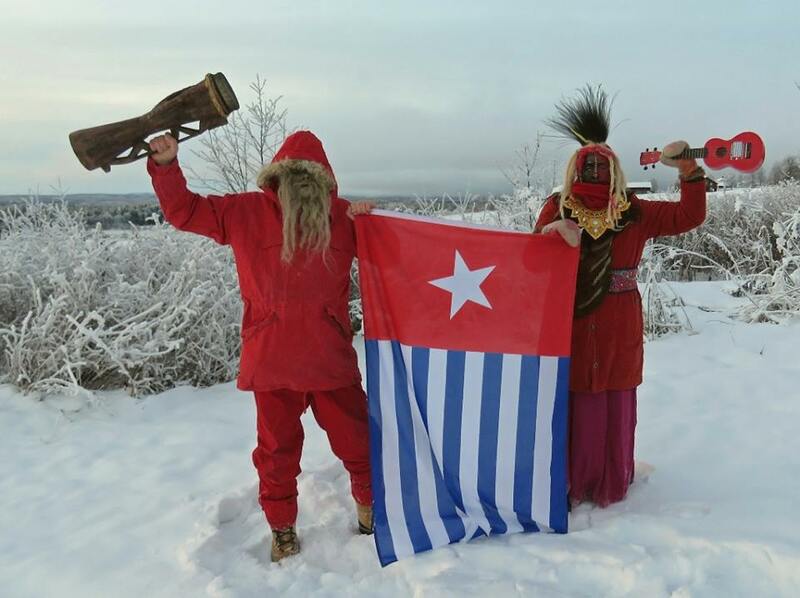 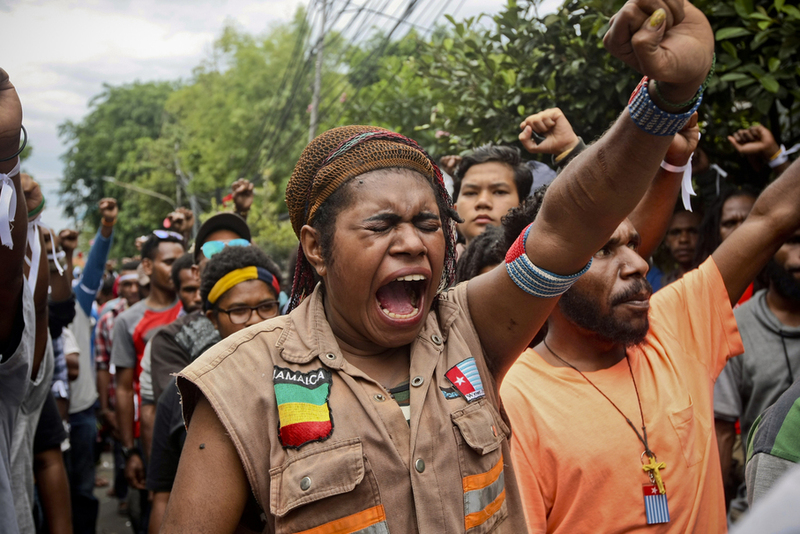 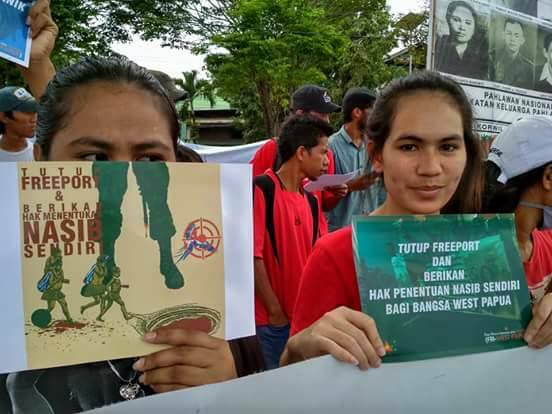 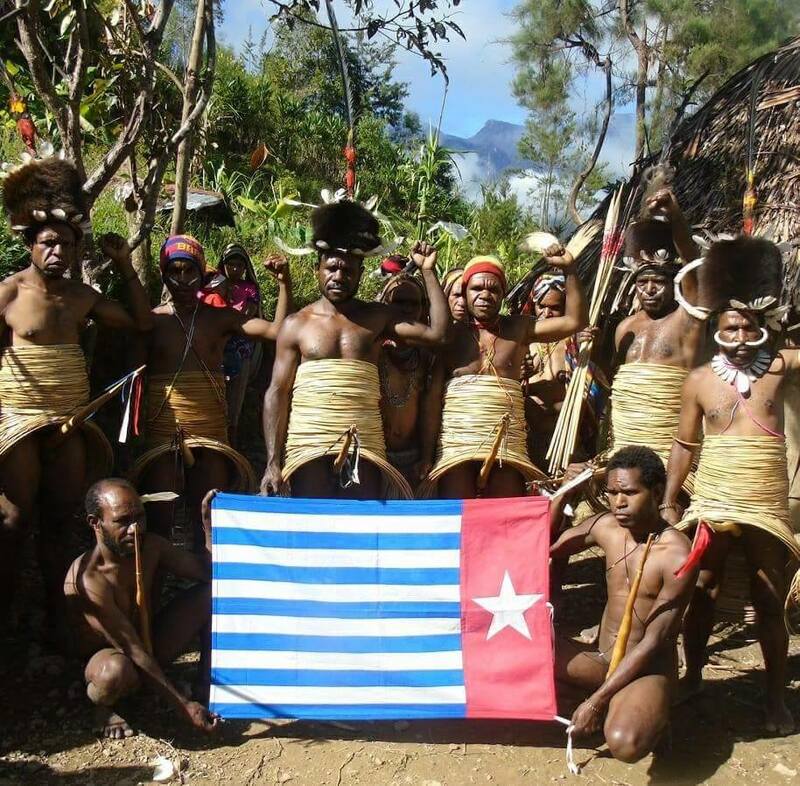 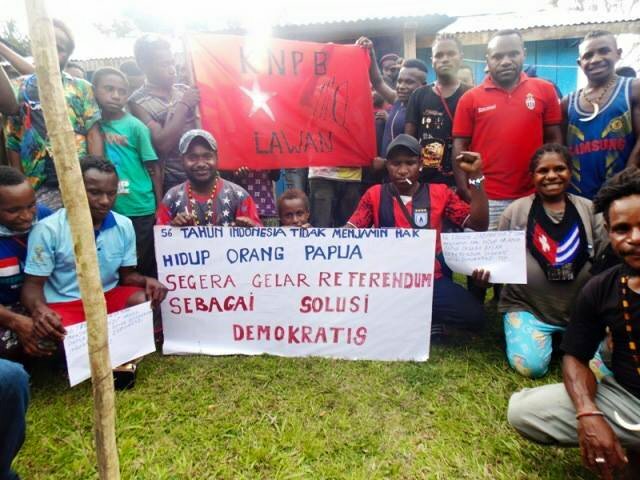 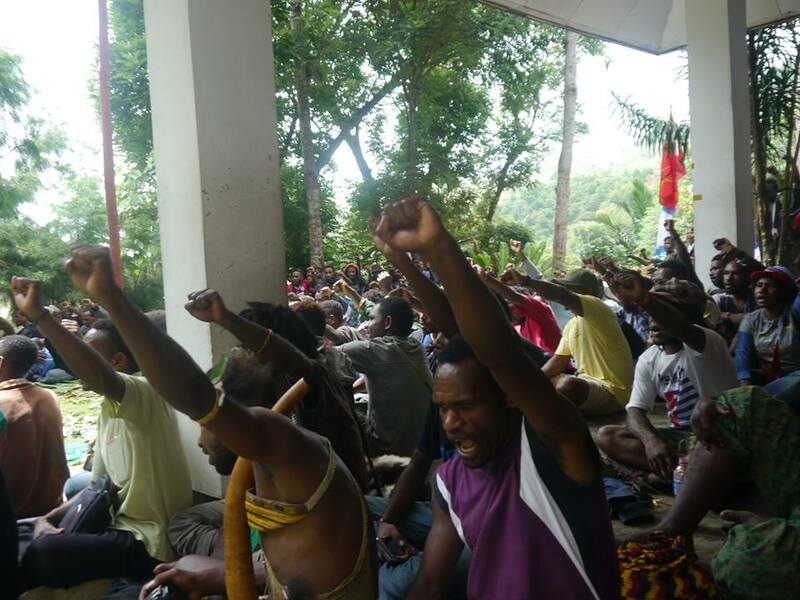 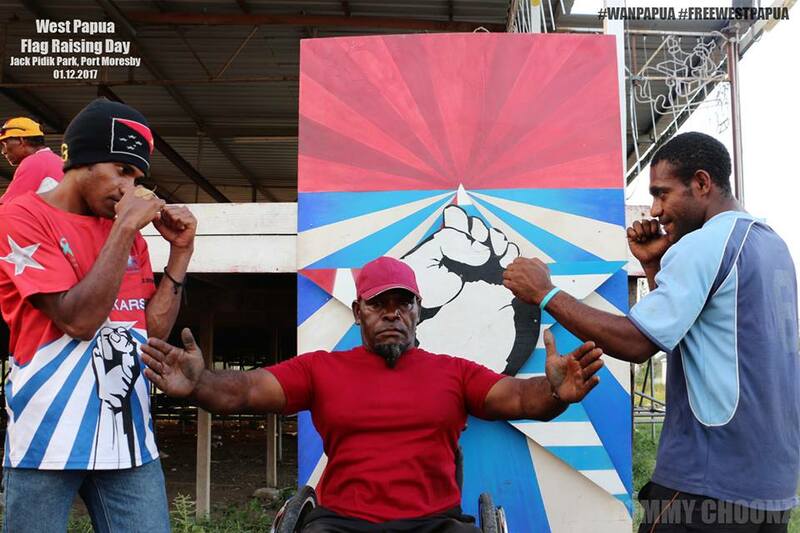 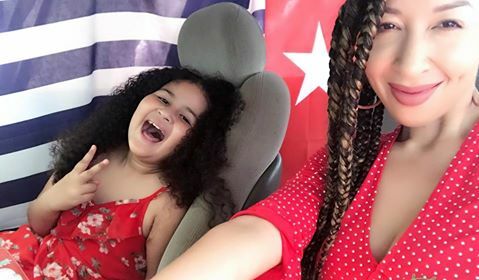 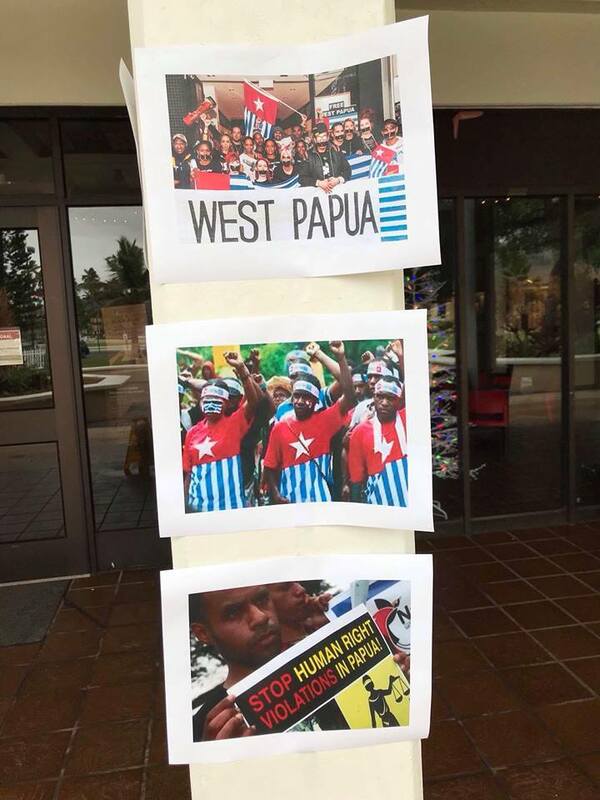 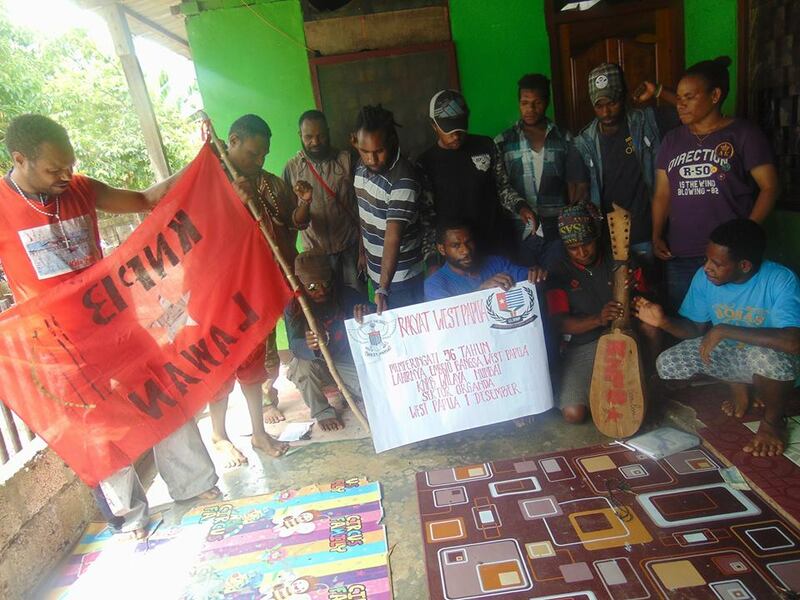 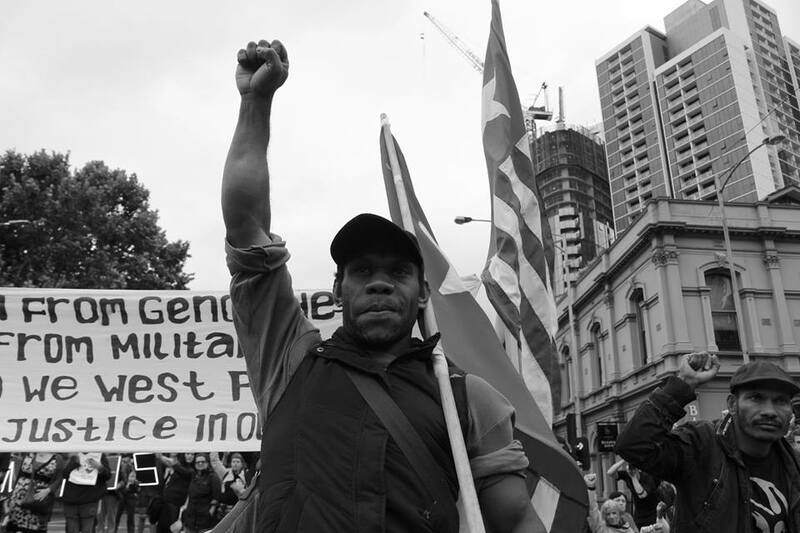 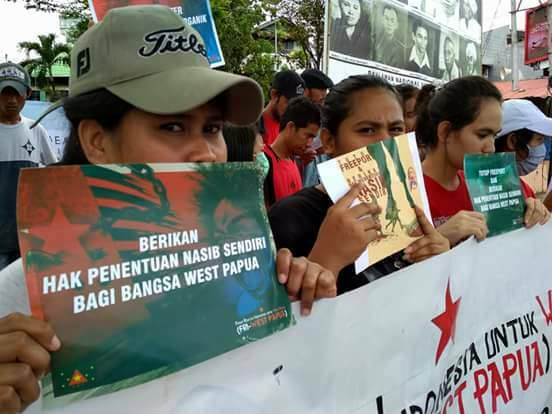 This year we received over 250 photos from over 30 countries around the world, making it the biggest global day of action for West Papua so far! 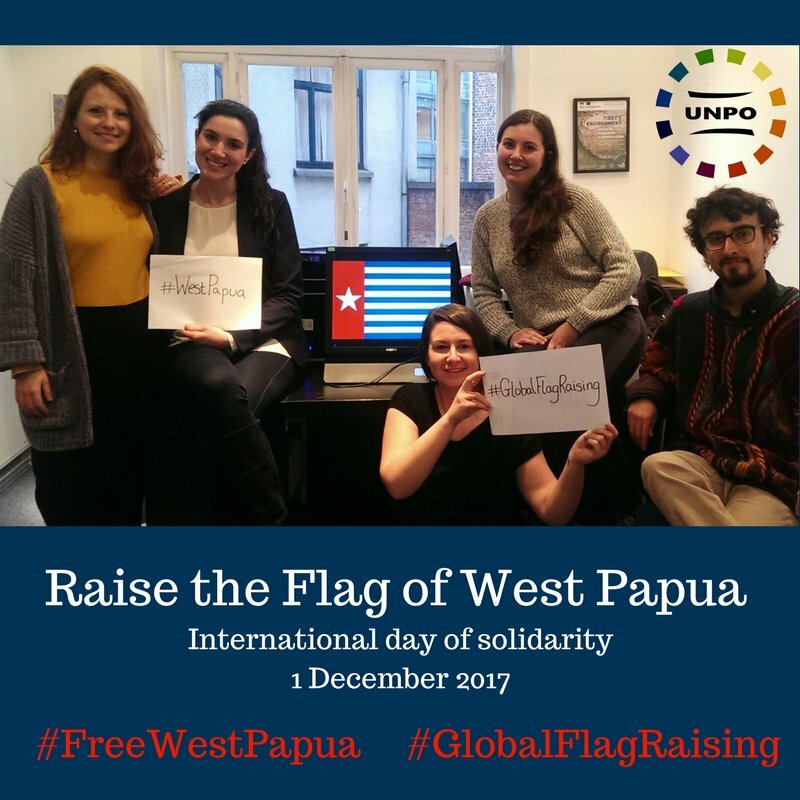 From the cold mountains of the Alps, to the sun-kissed beaches of Hawai’i, from the teetering chasms of the Grand Canyon, to the bustling streets of Abuja; the Morning Star flag of the West Papuan people was raised everywhere in solidarity with their struggle for freedom. 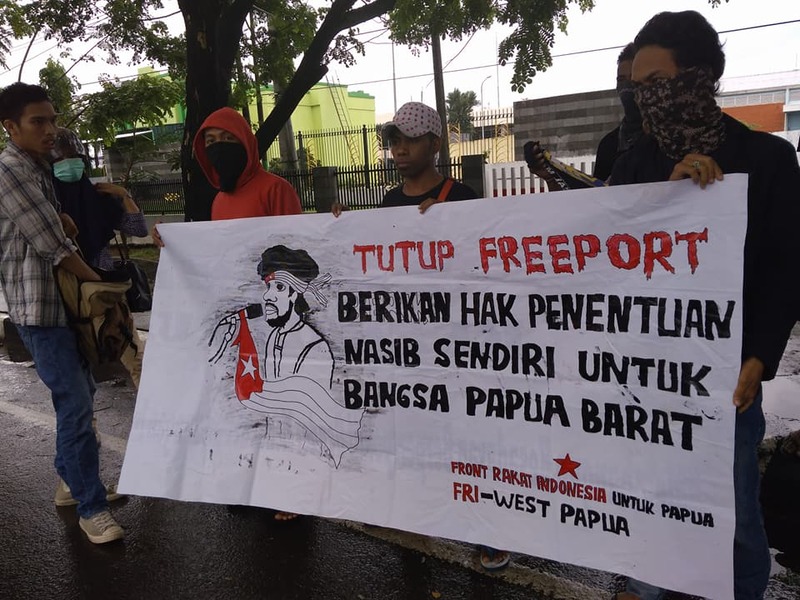 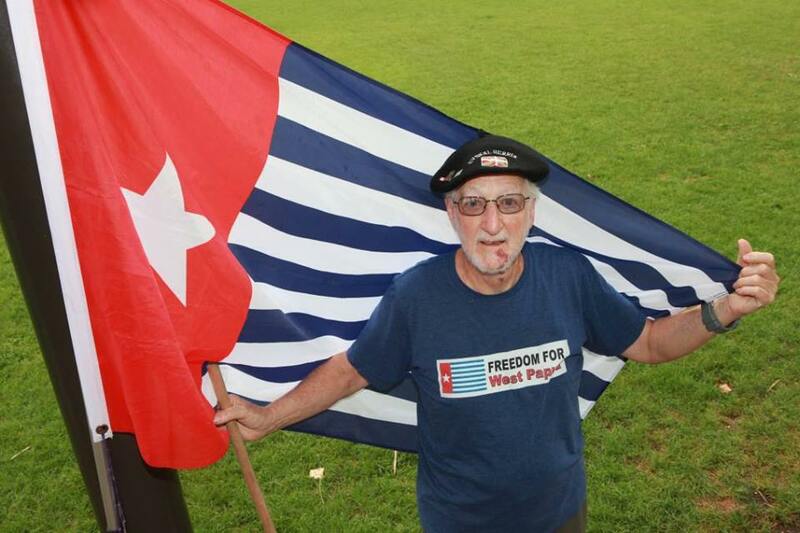 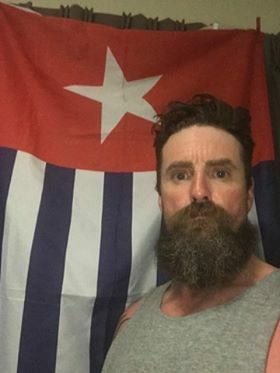 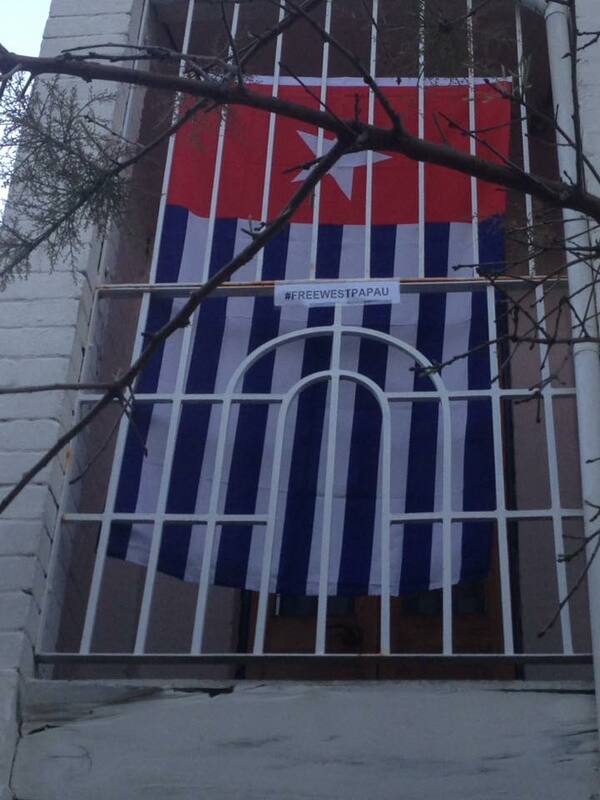 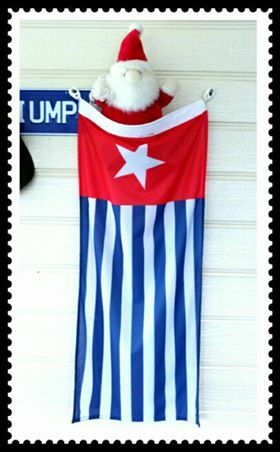 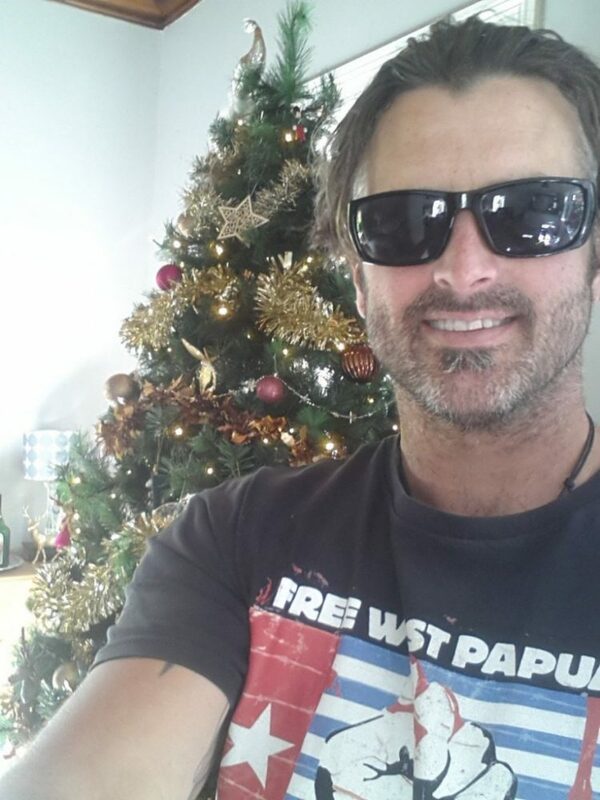 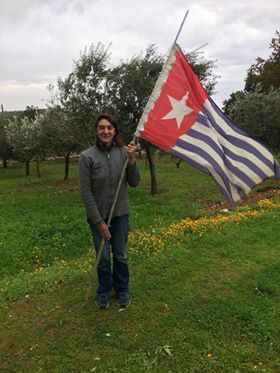 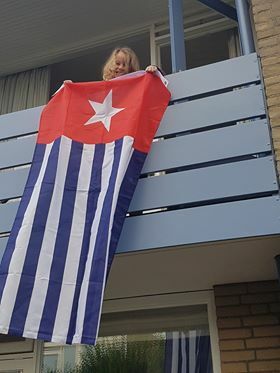 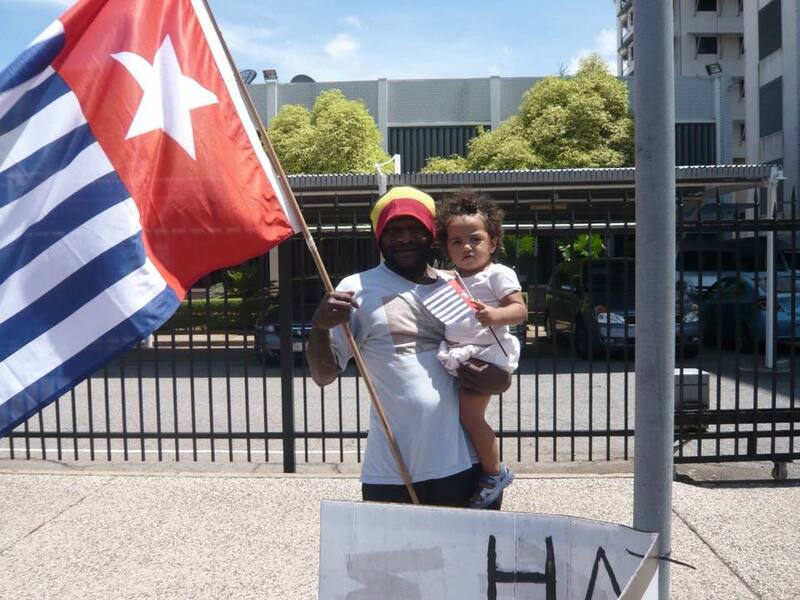 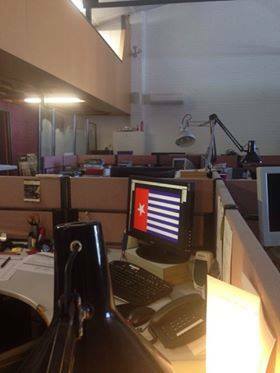 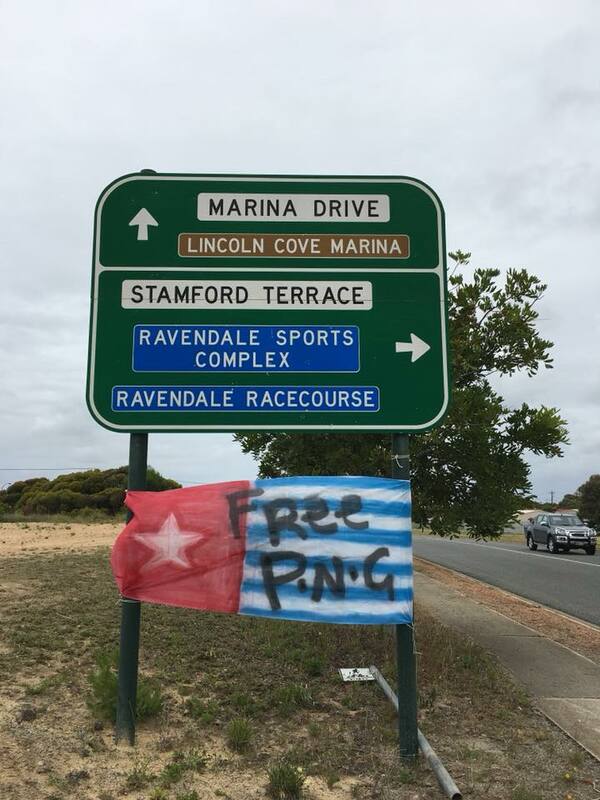 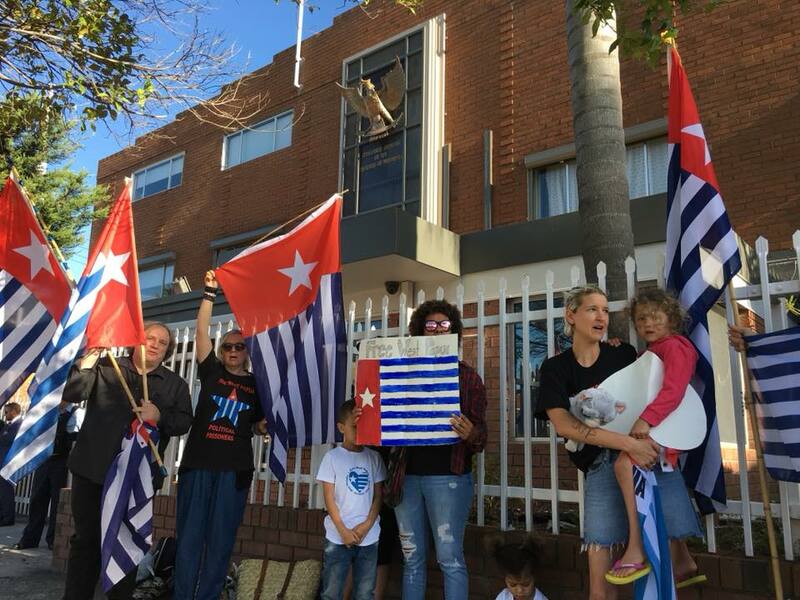 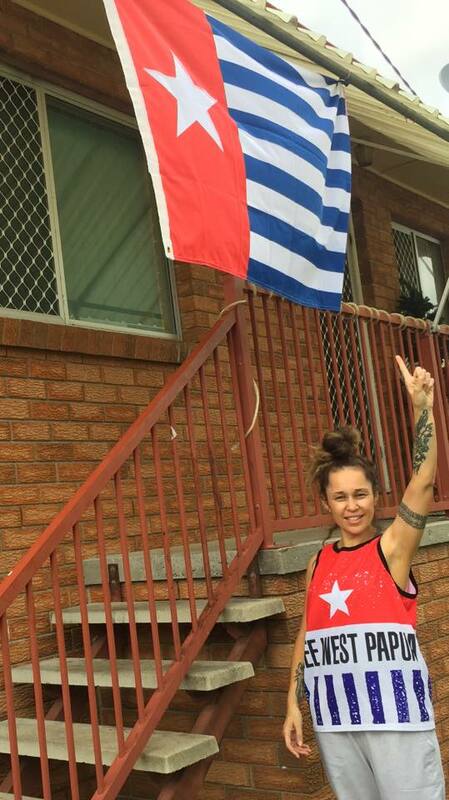 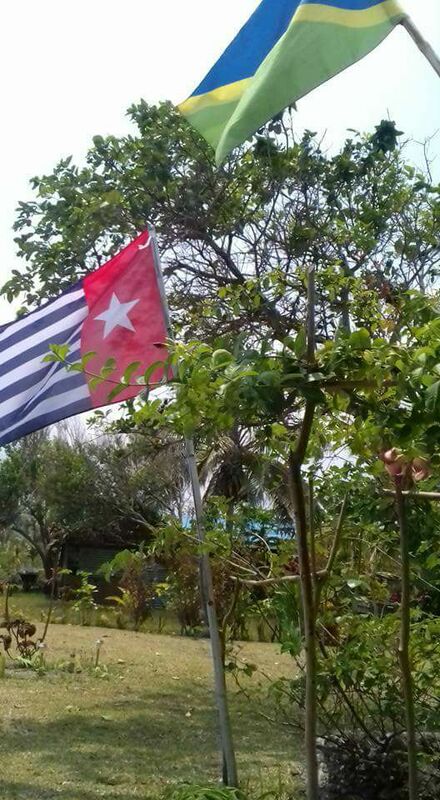 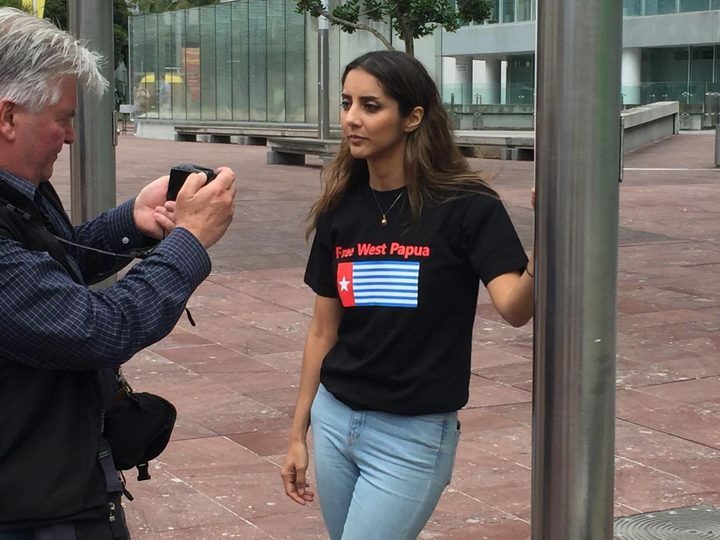 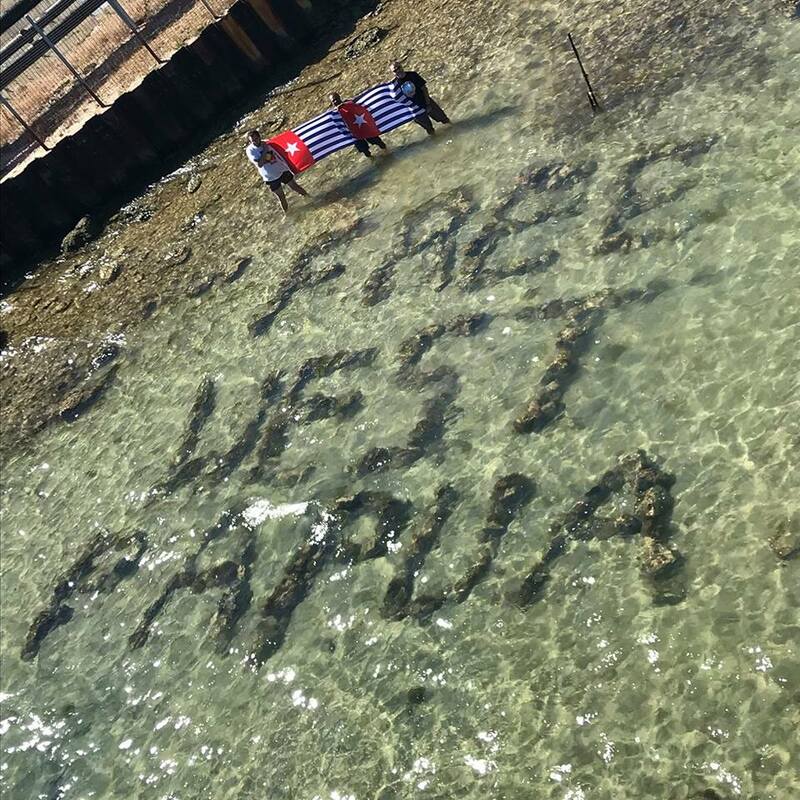 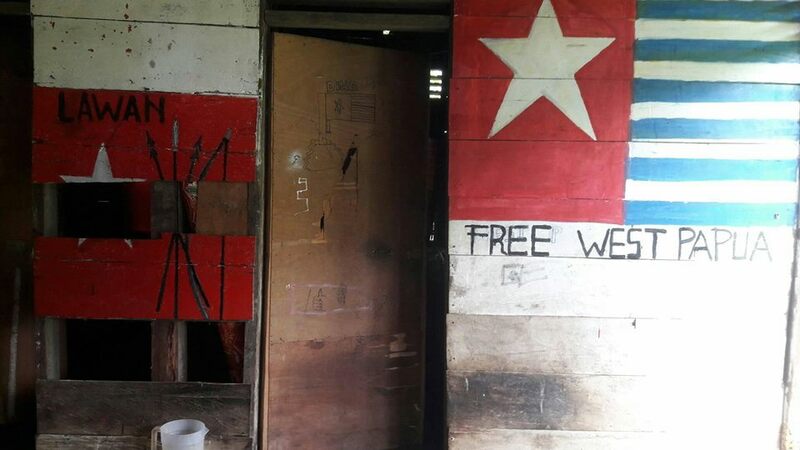 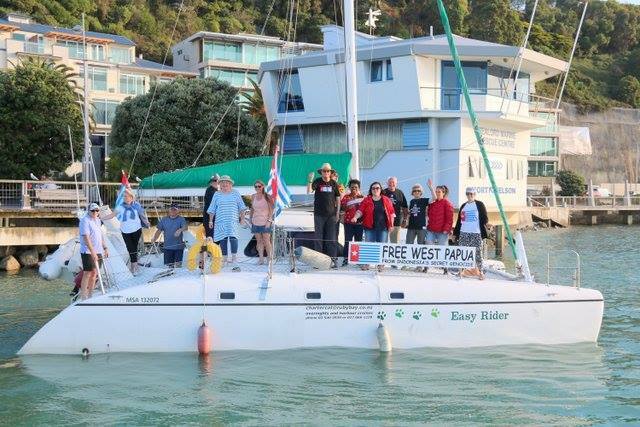 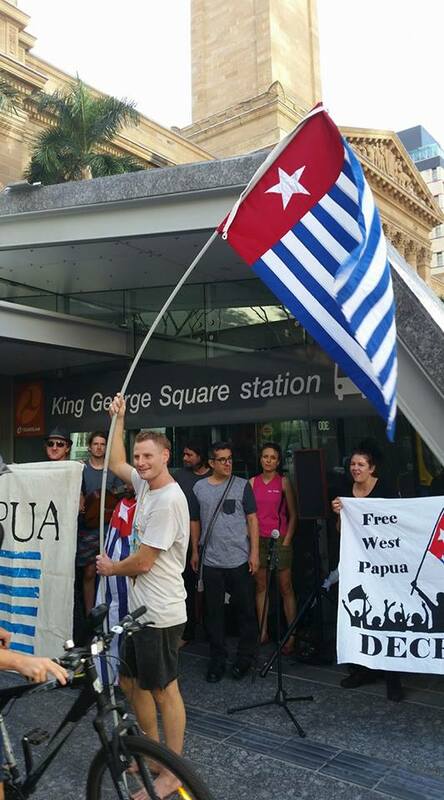 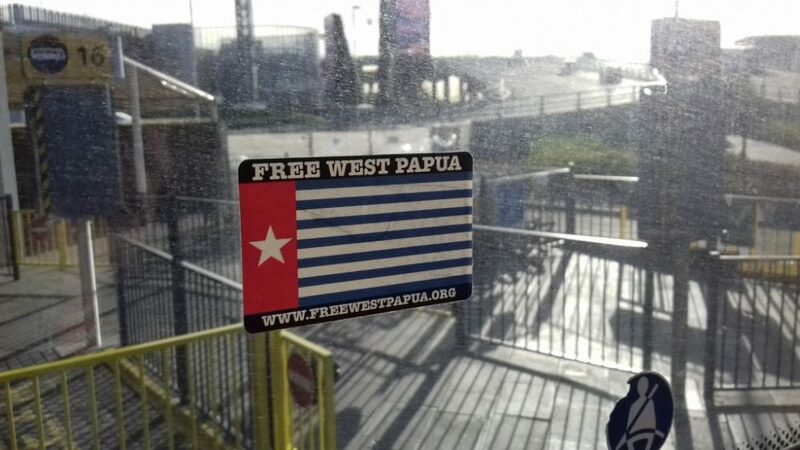 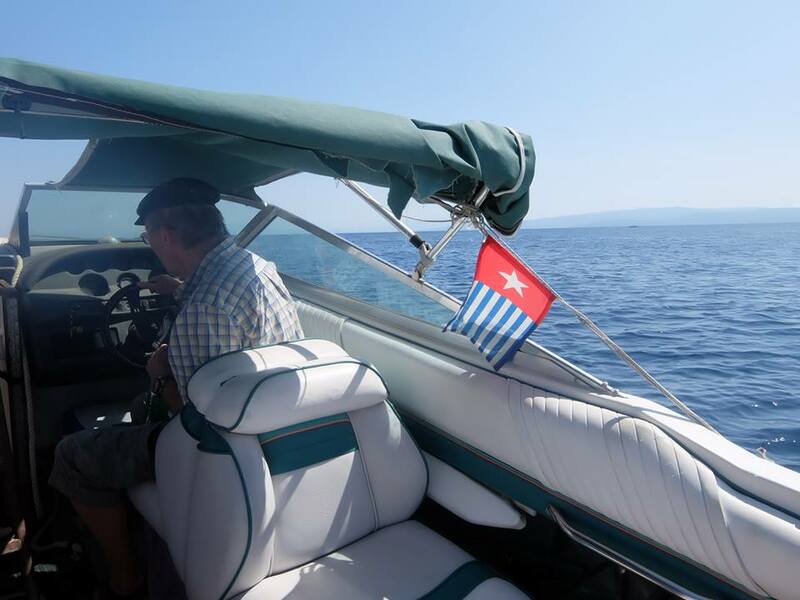 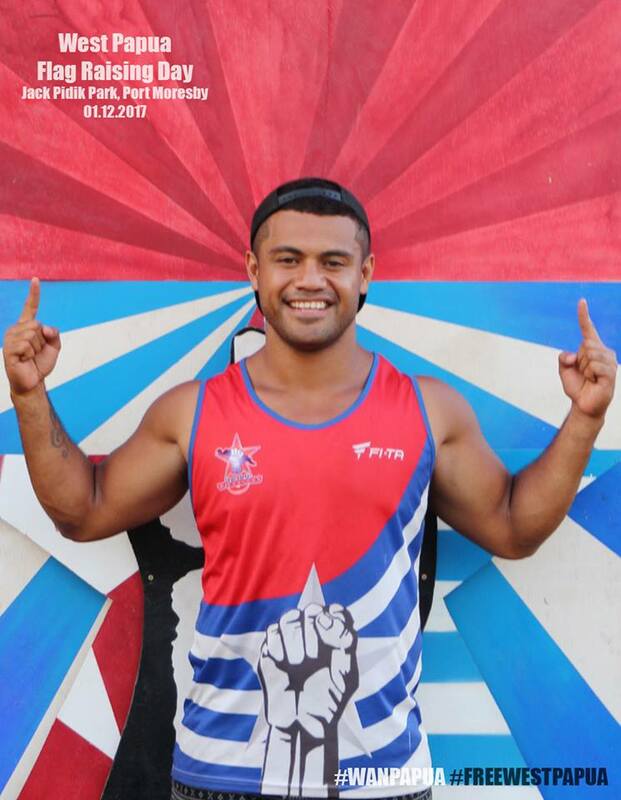 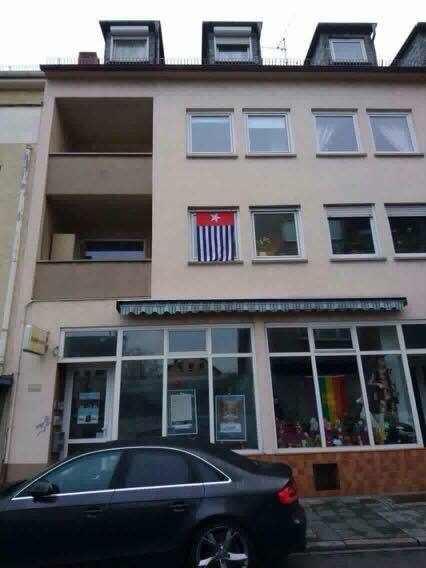 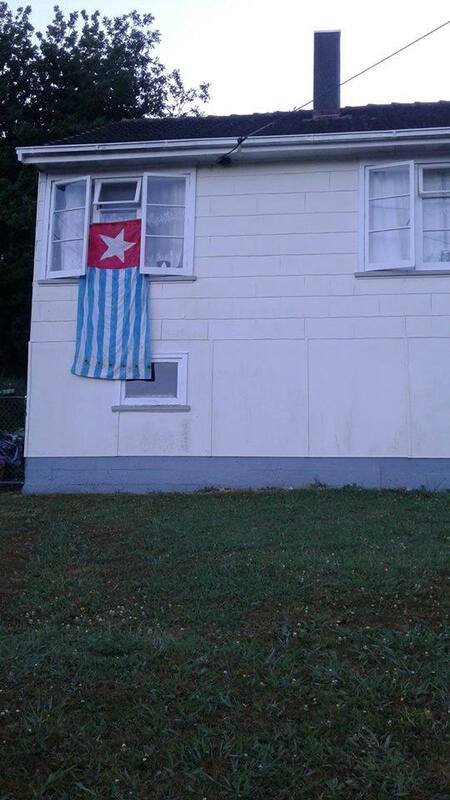 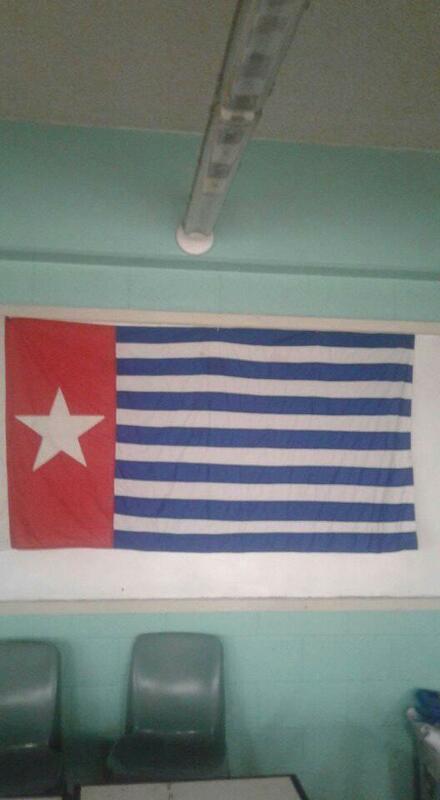 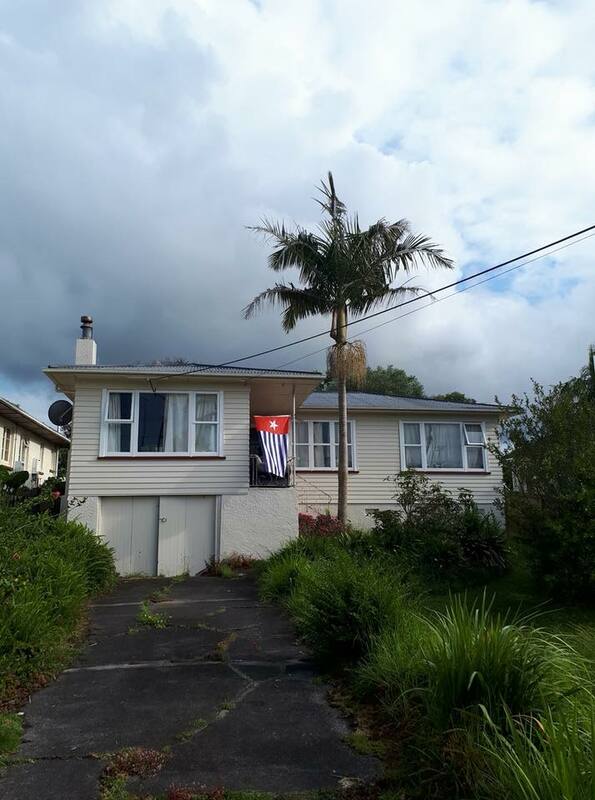 It is extremely poignant that the West Papuan flag was raised so freely aboard, when West Papuan people raising it in their own country can get 15 year jail sentences for it. 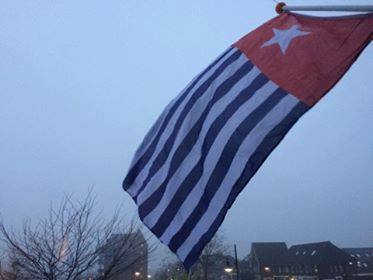 It is this very flag which represents their right to freedom and independence, first raised with hope exactly 56 years ago on 1st December 1961. 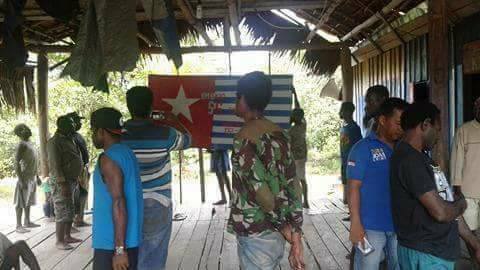 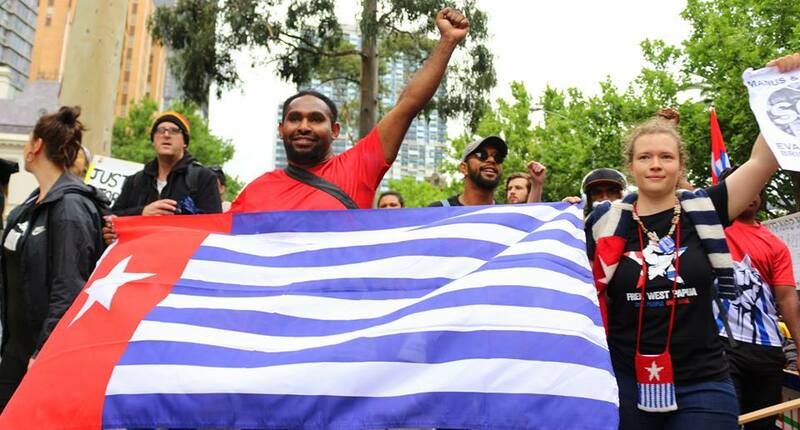 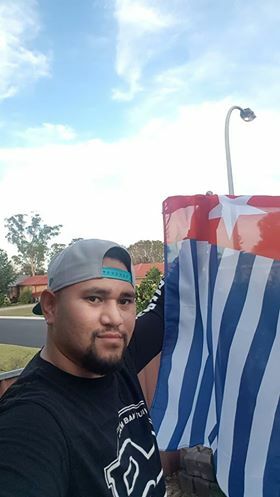 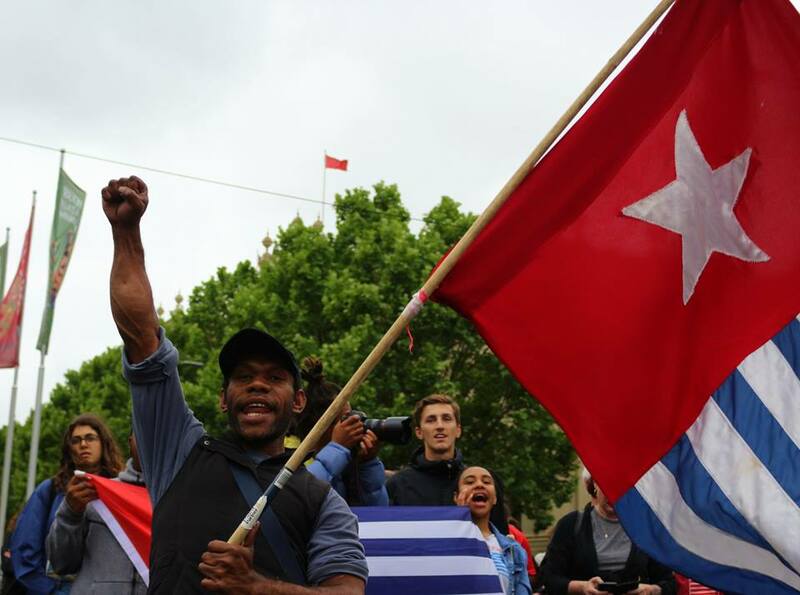 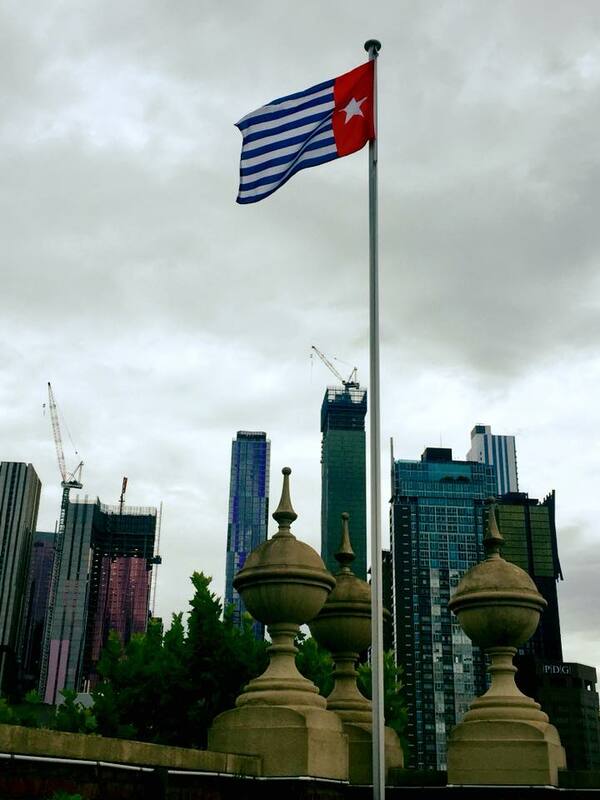 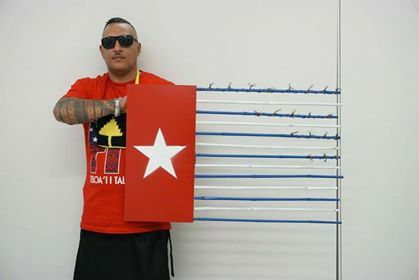 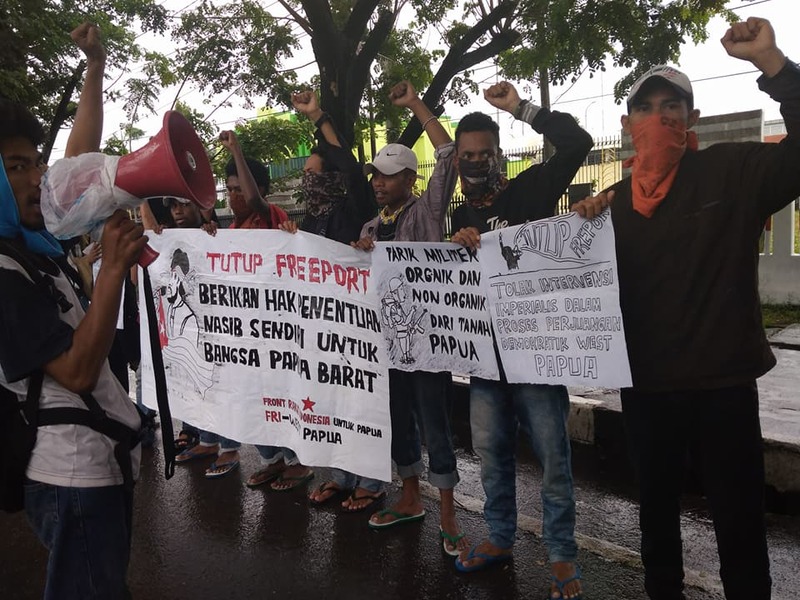 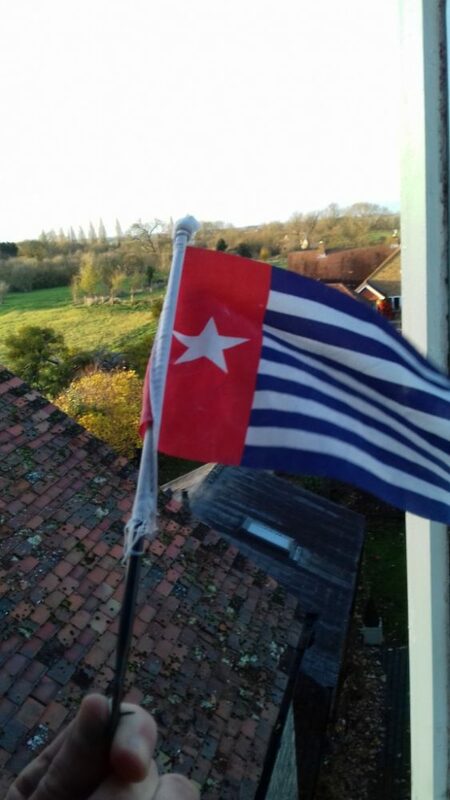 It means everything for the people of West Papua to see their flag raised freely in solidarity with their struggle by people around the world as it is this exact freedom they are so expressly denied. 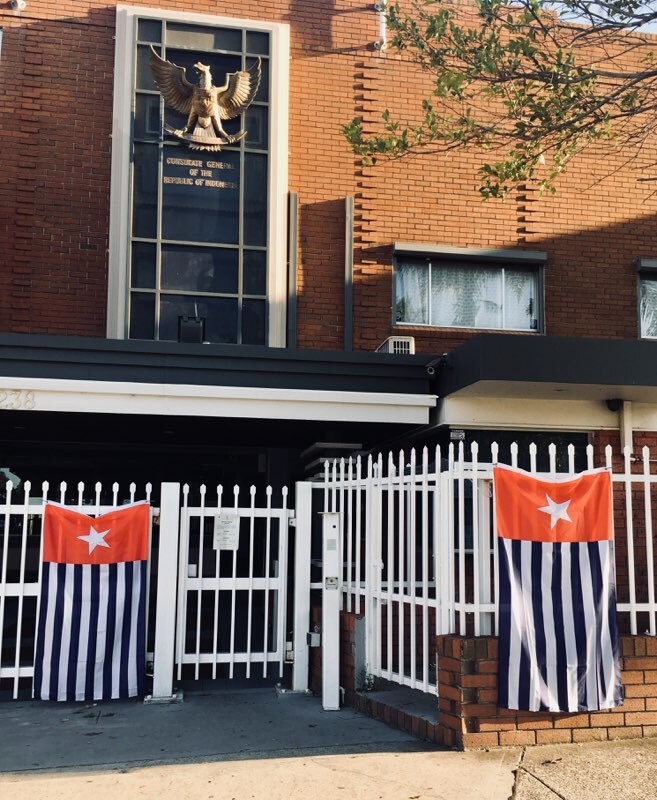 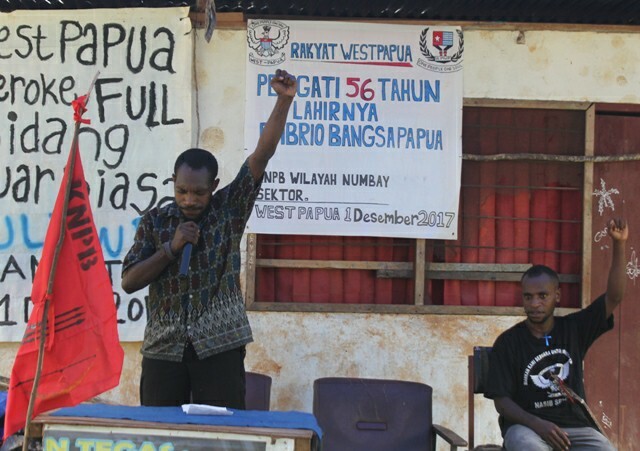 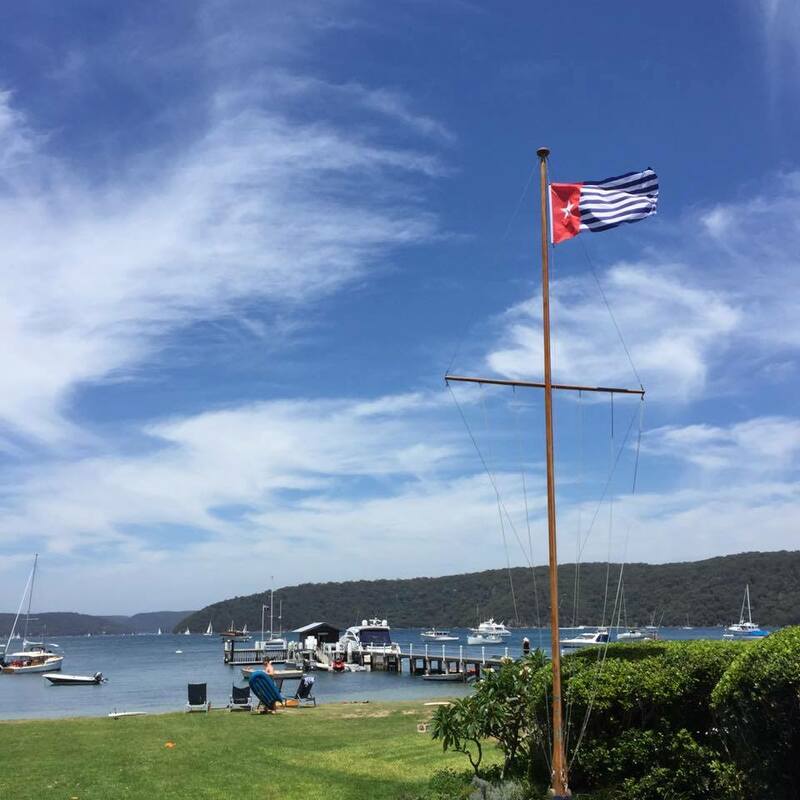 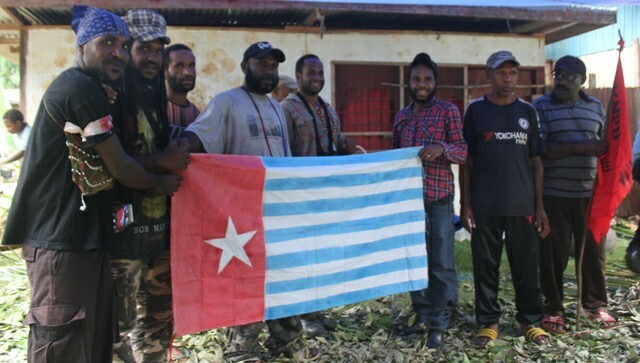 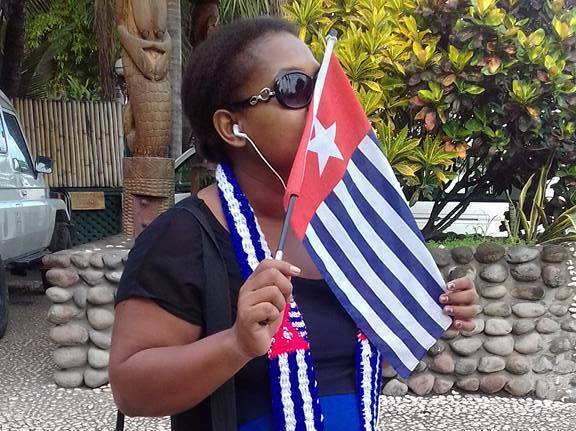 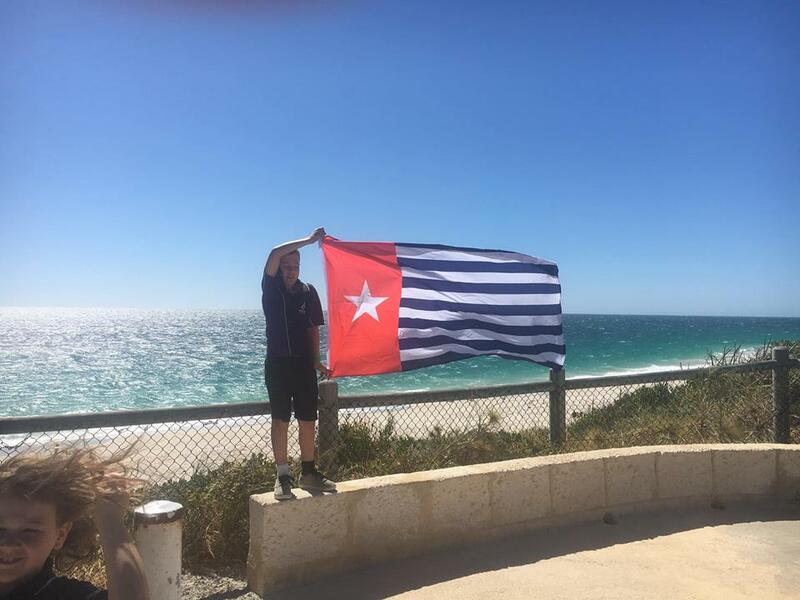 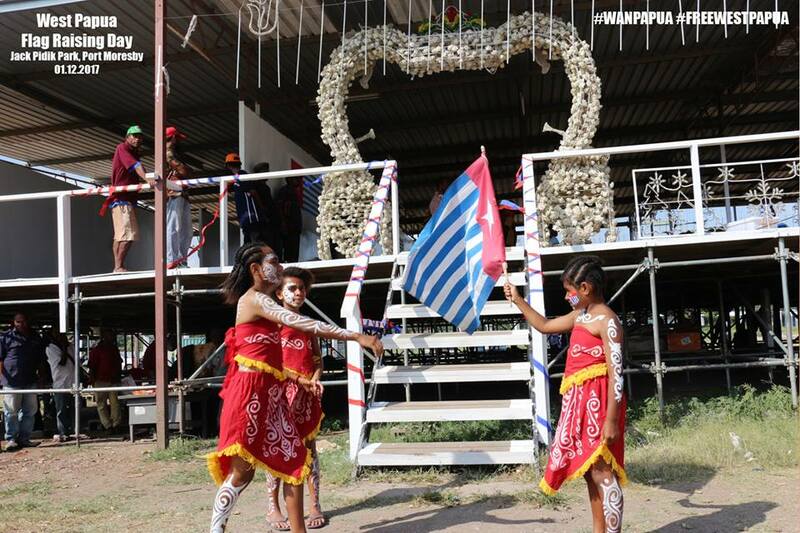 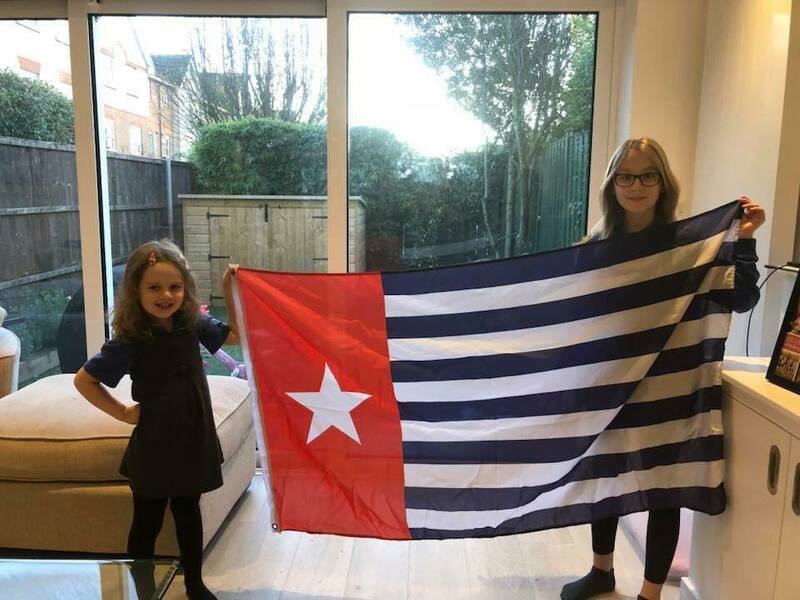 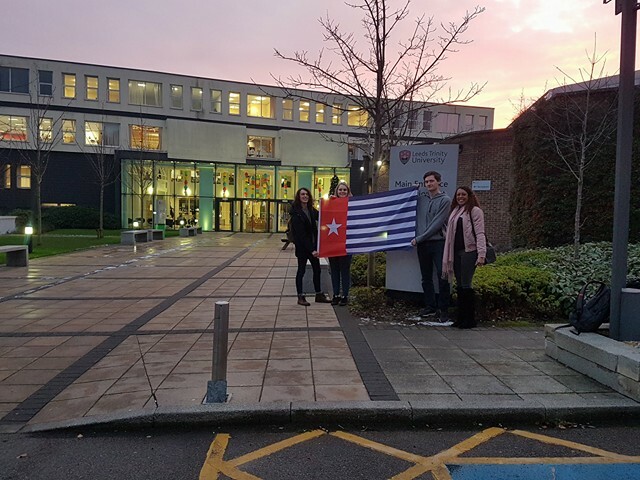 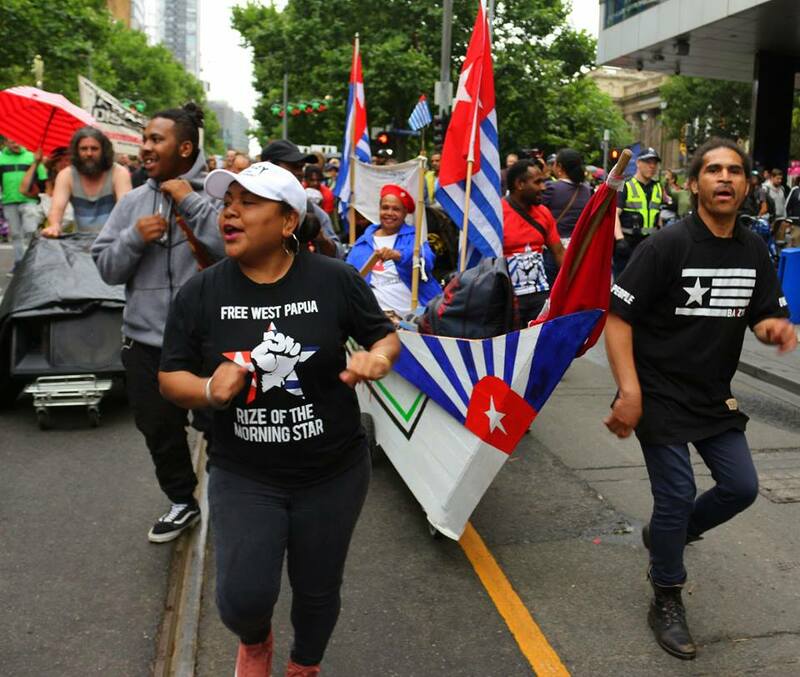 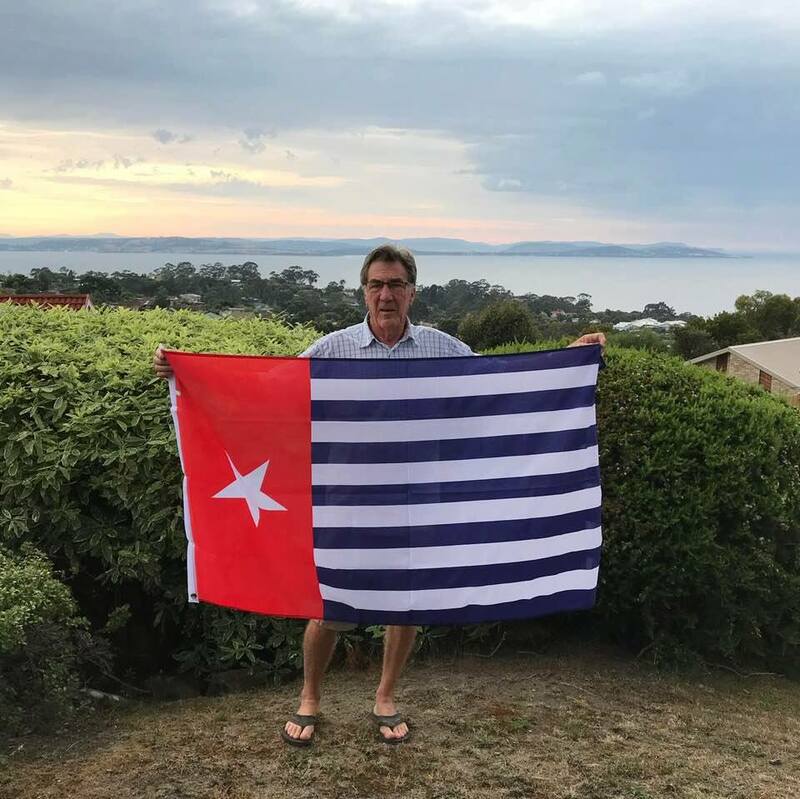 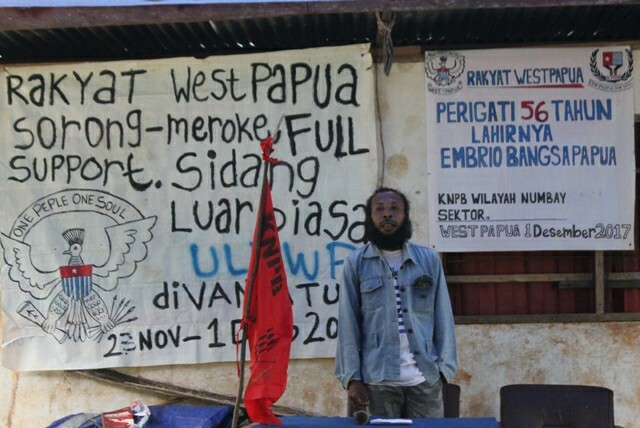 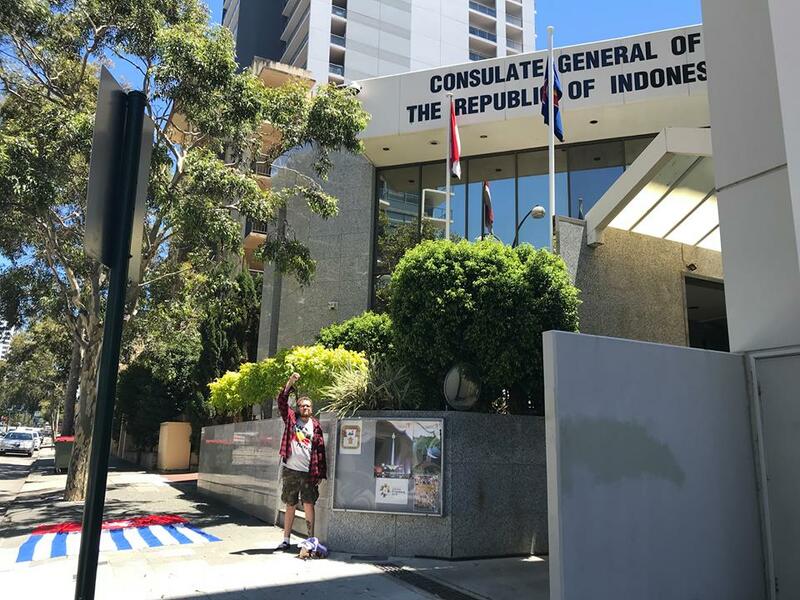 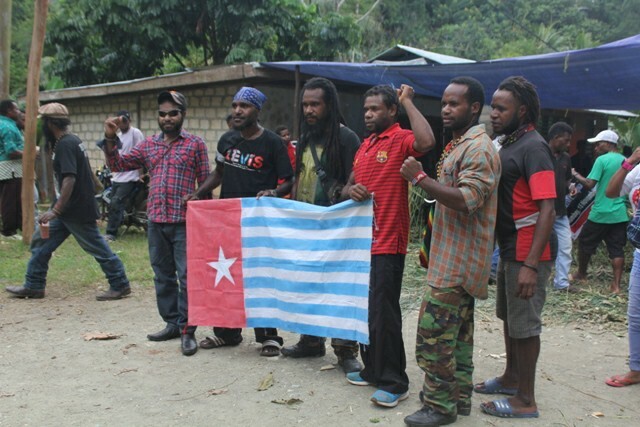 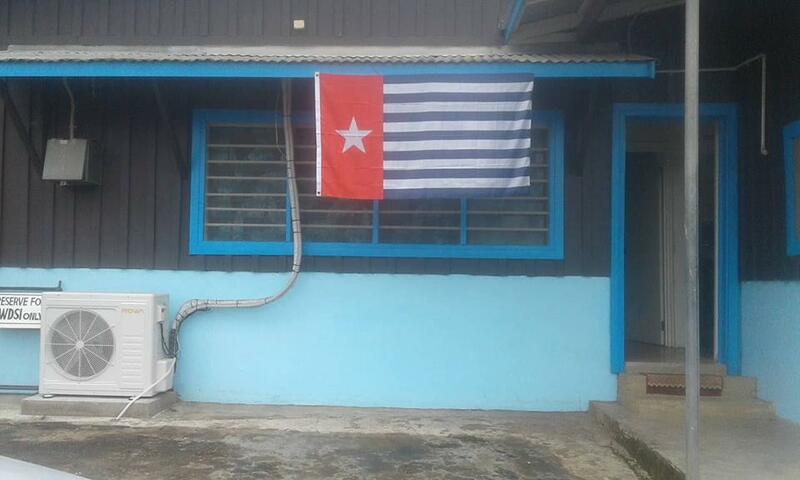 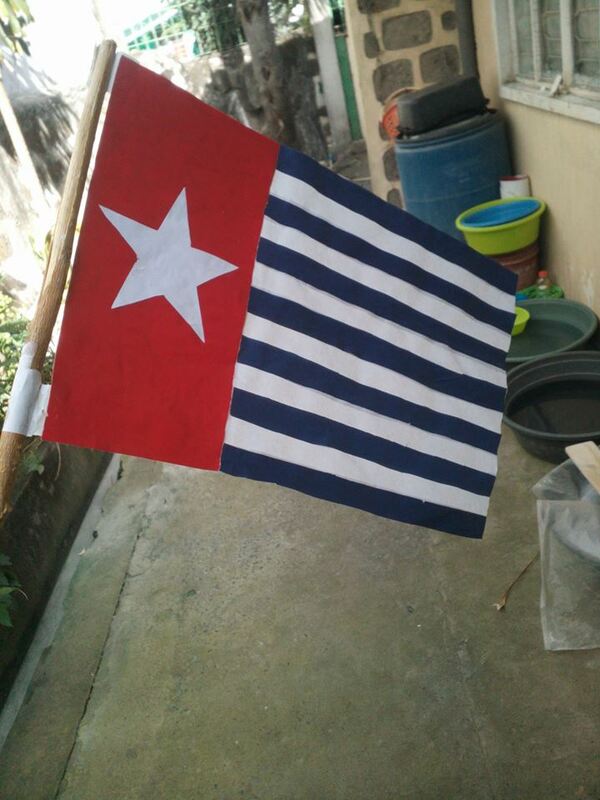 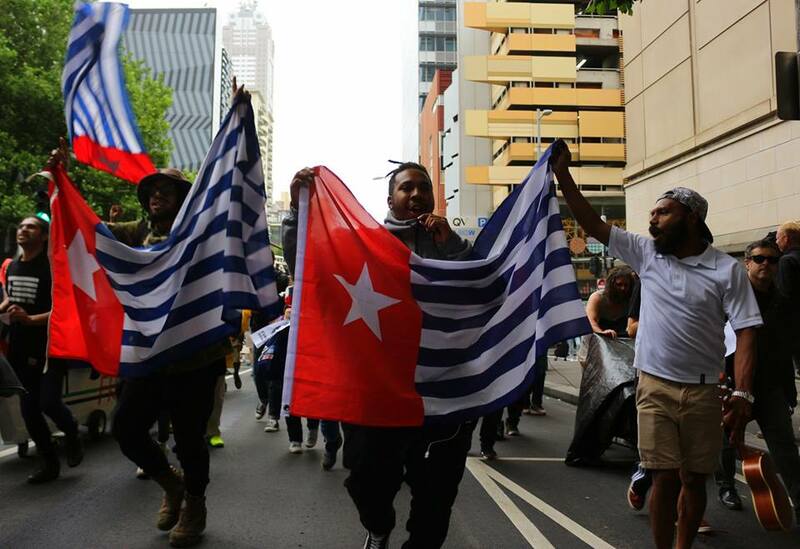 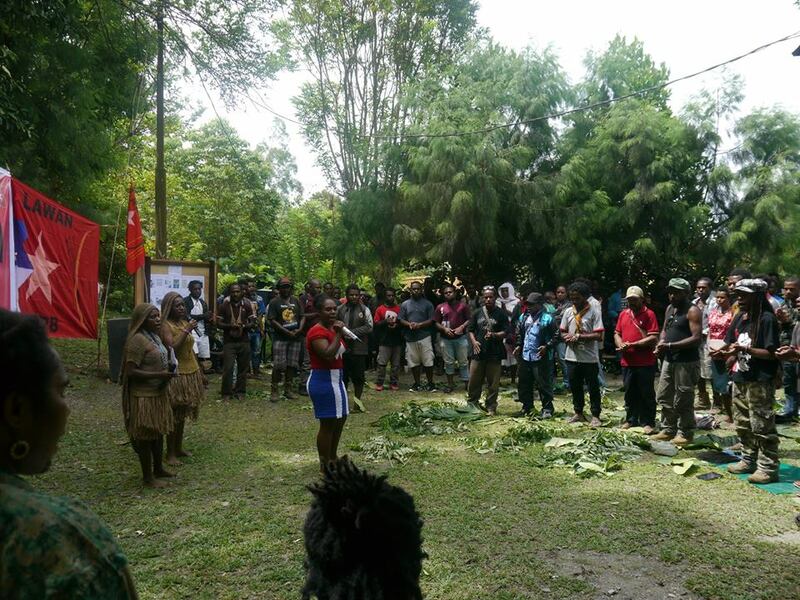 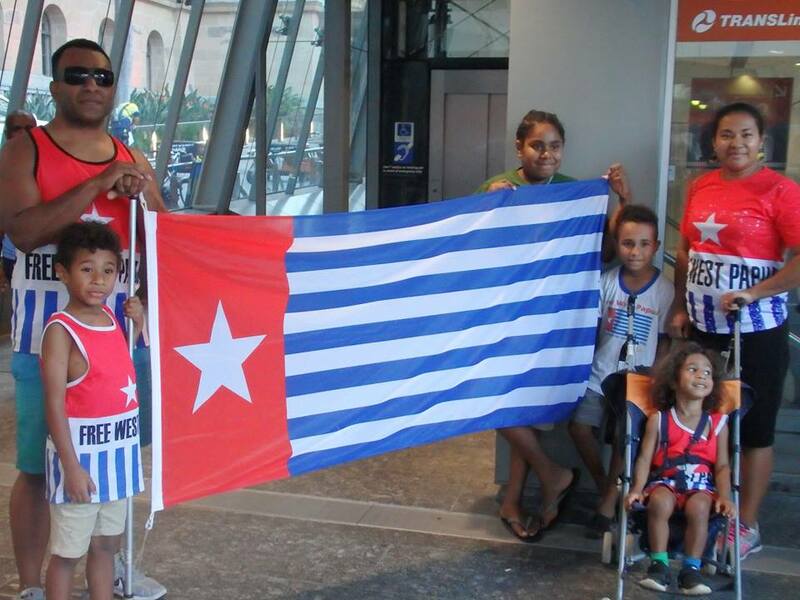 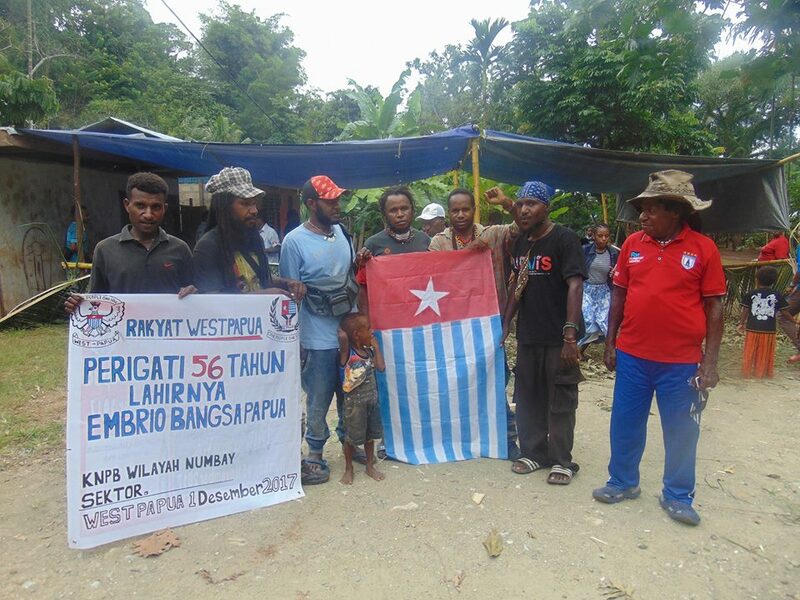 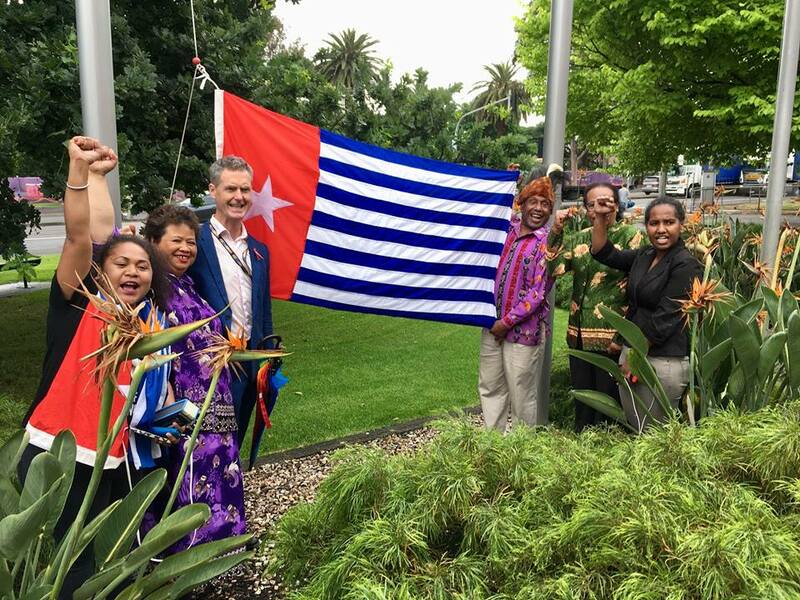 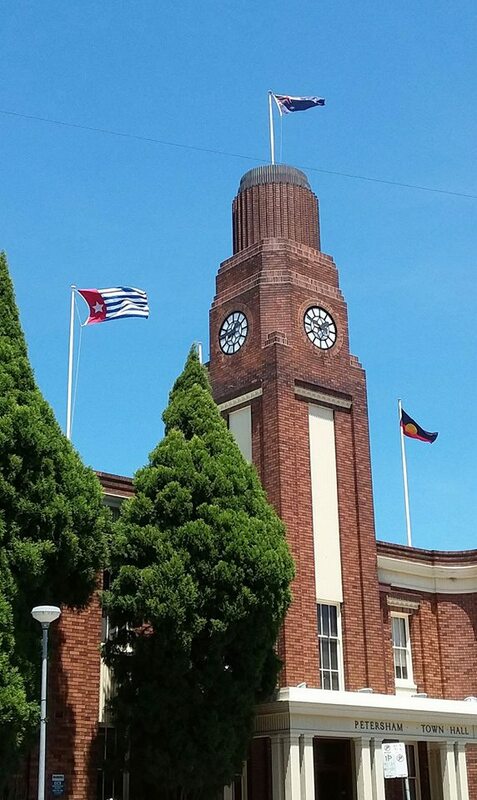 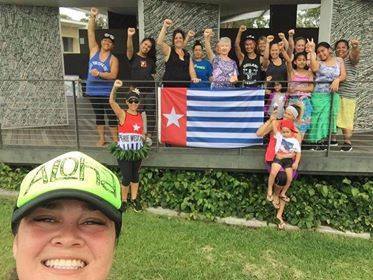 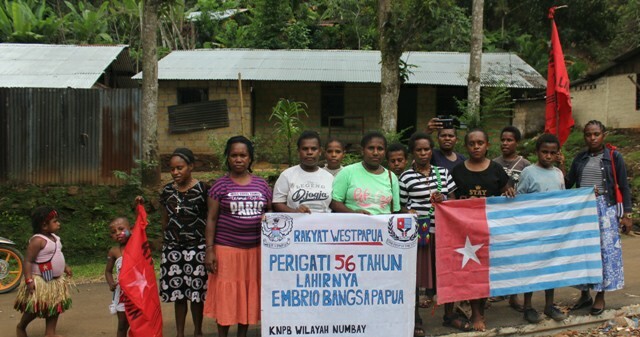 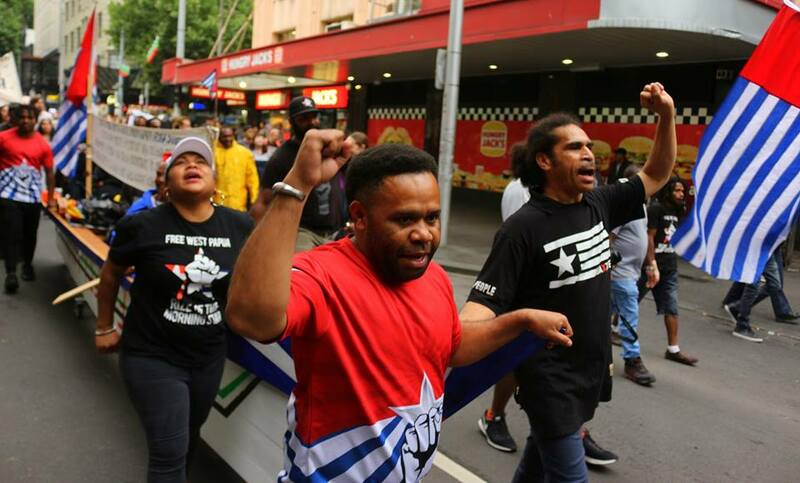 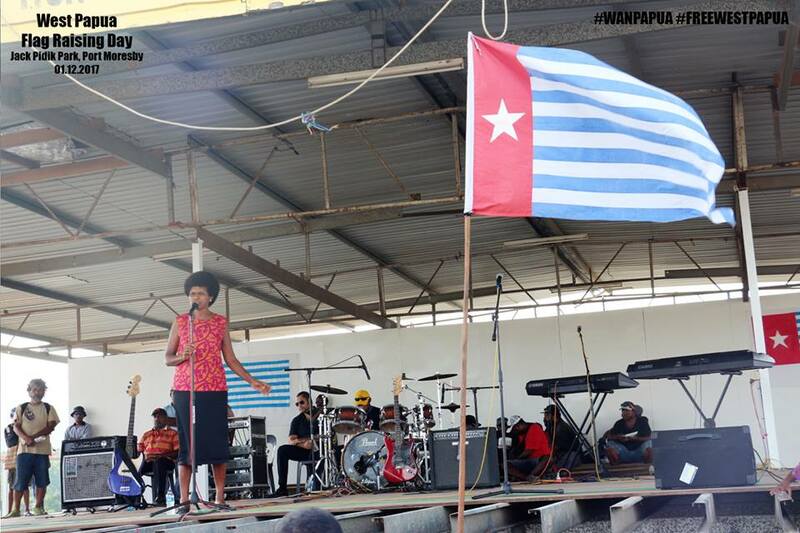 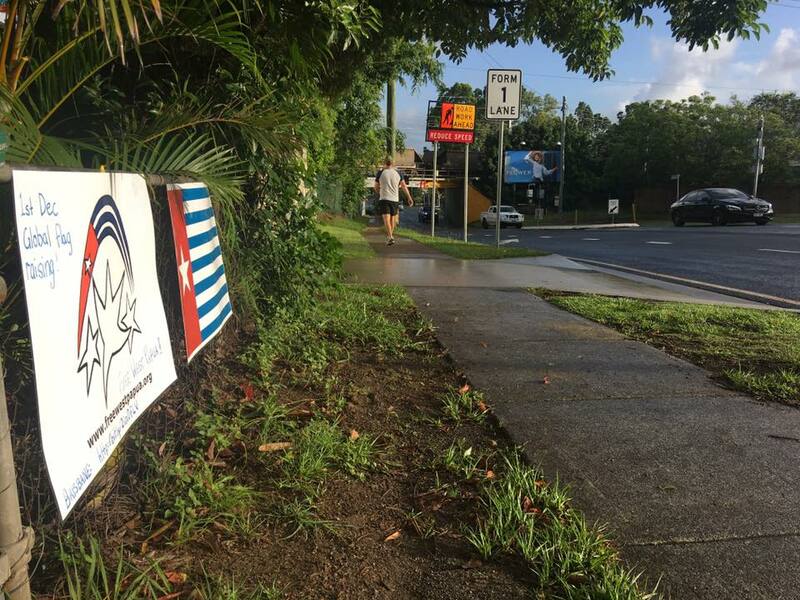 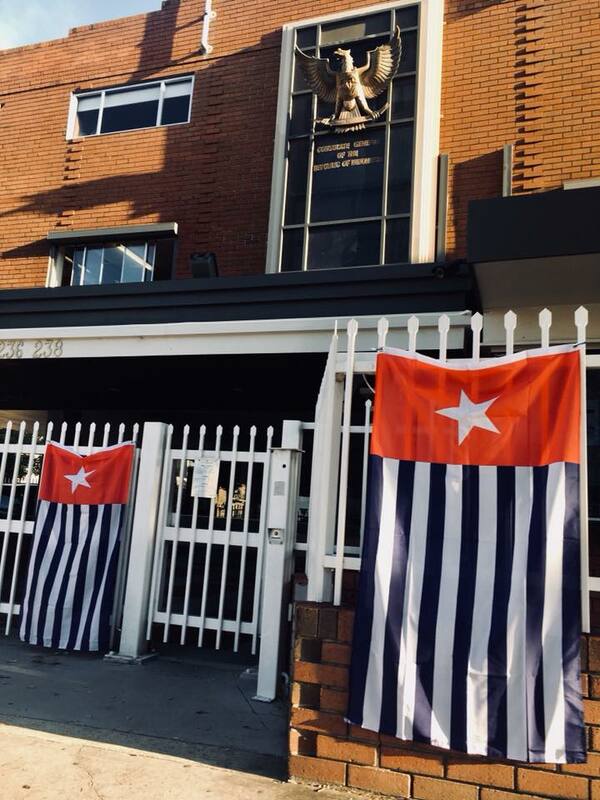 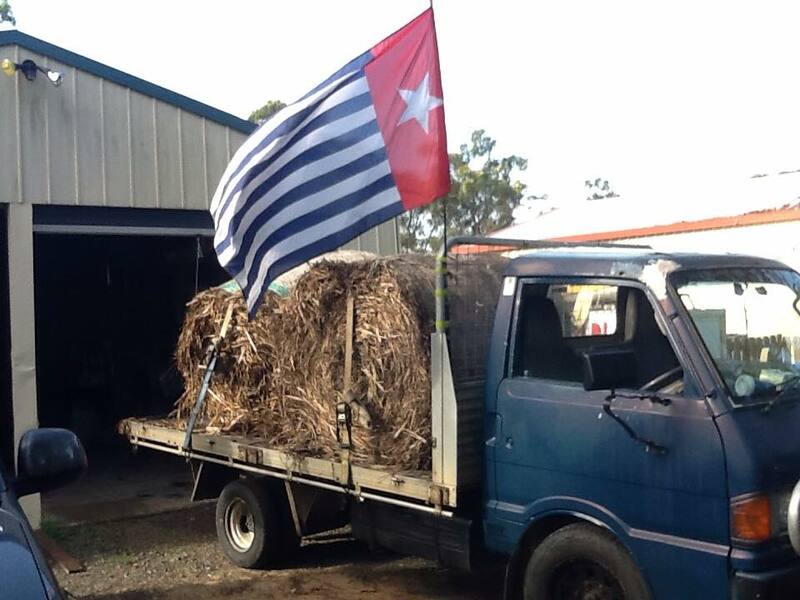 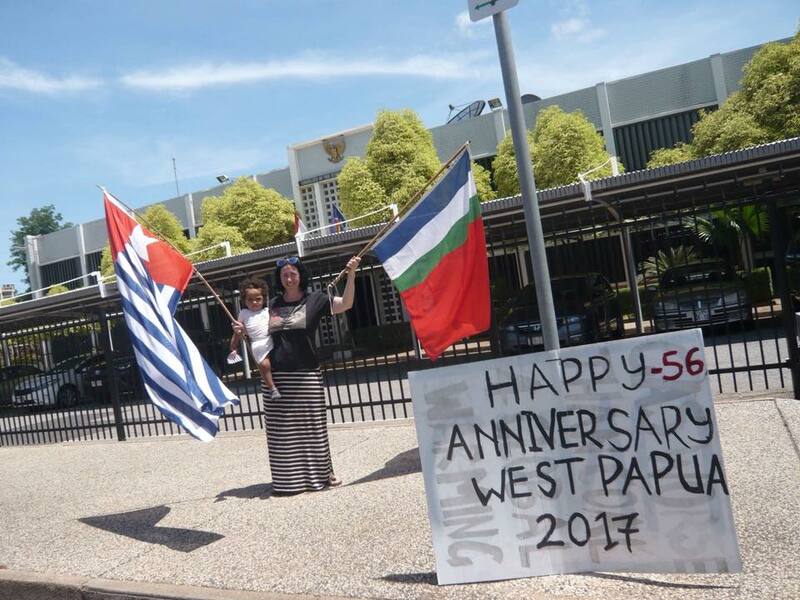 Not only was the West Papuan flag raised by hundreds of individuals in dozens of countries , it was raised by dedicated support groups, leaders and even local councils and City Halls. 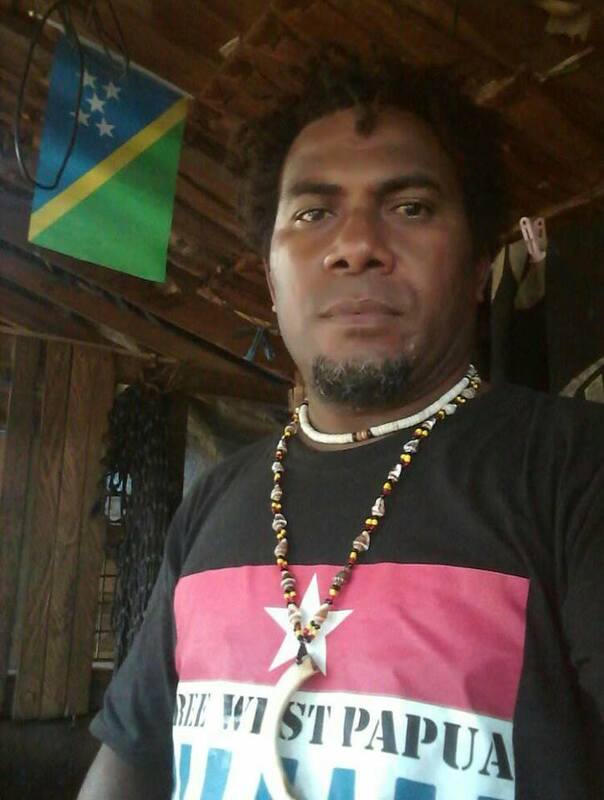 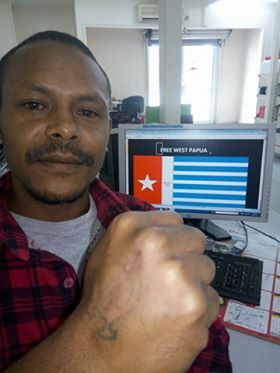 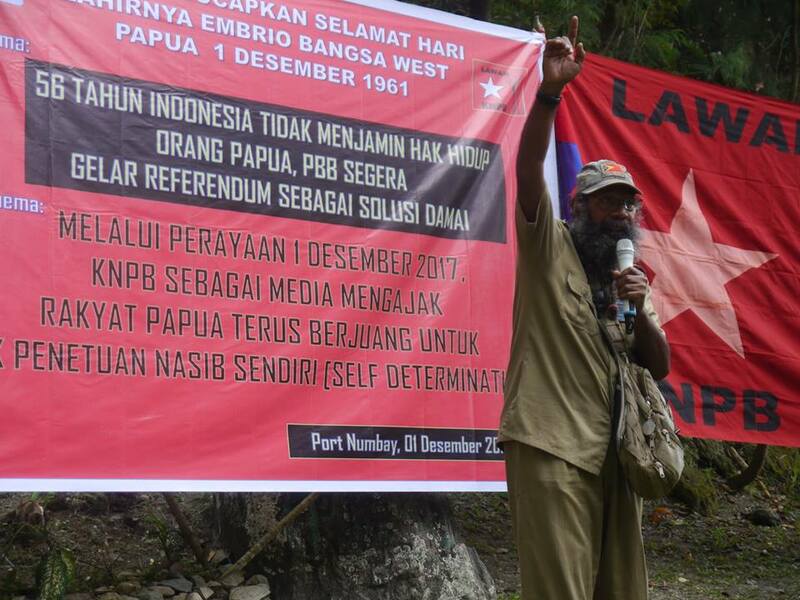 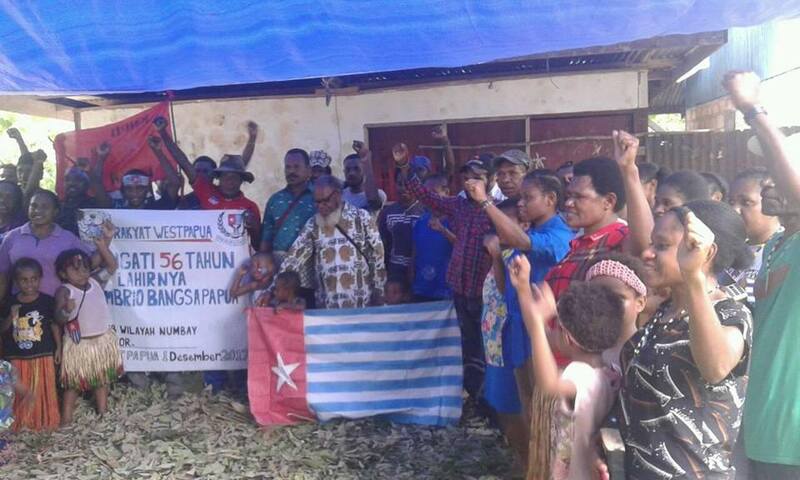 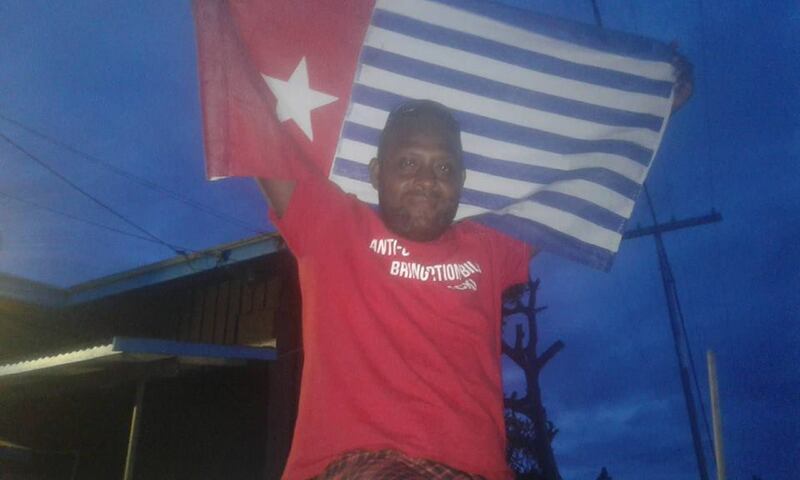 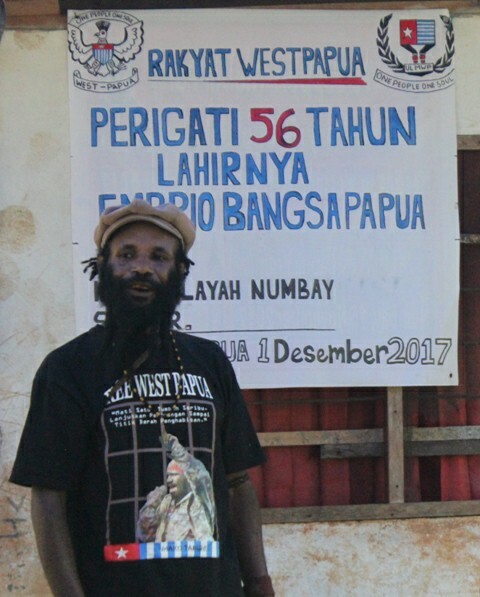 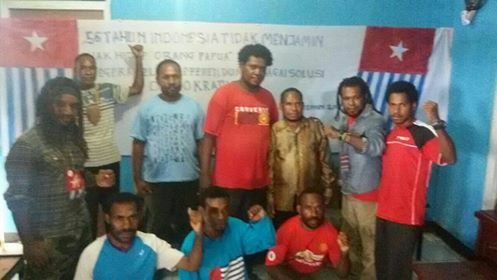 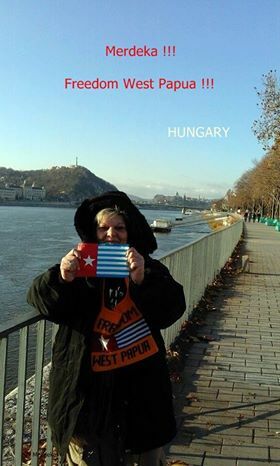 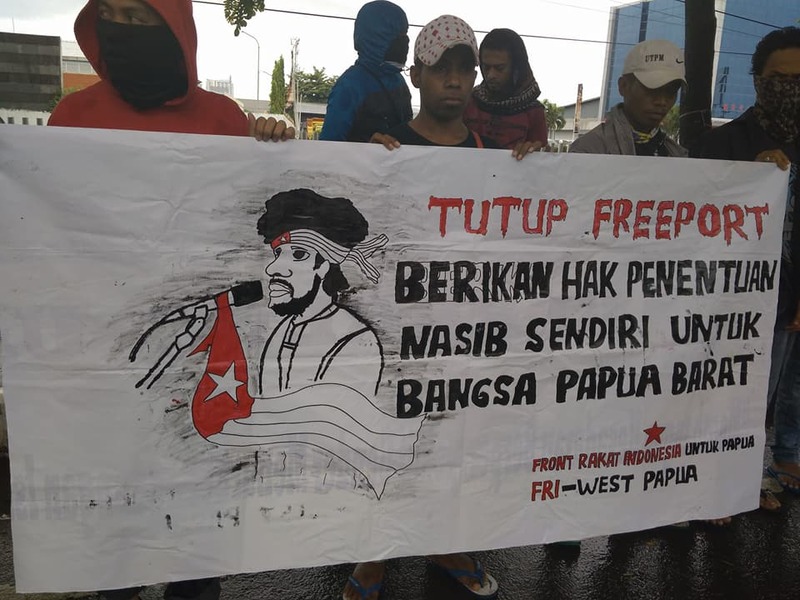 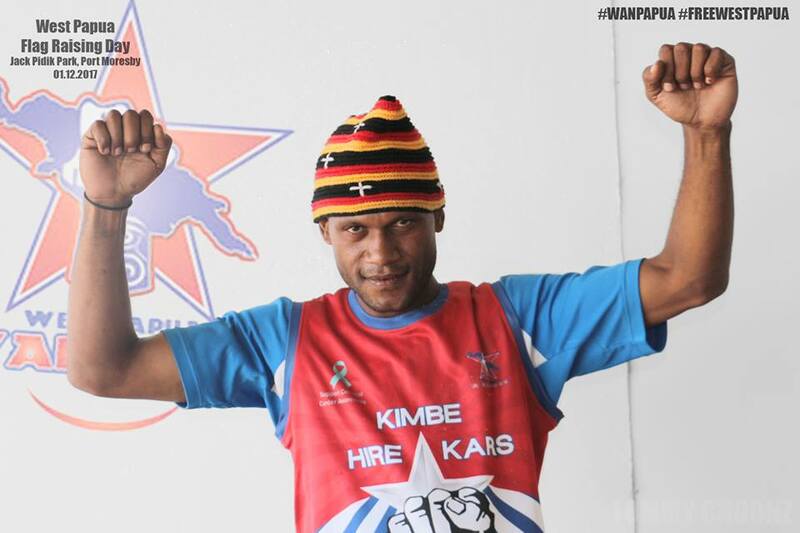 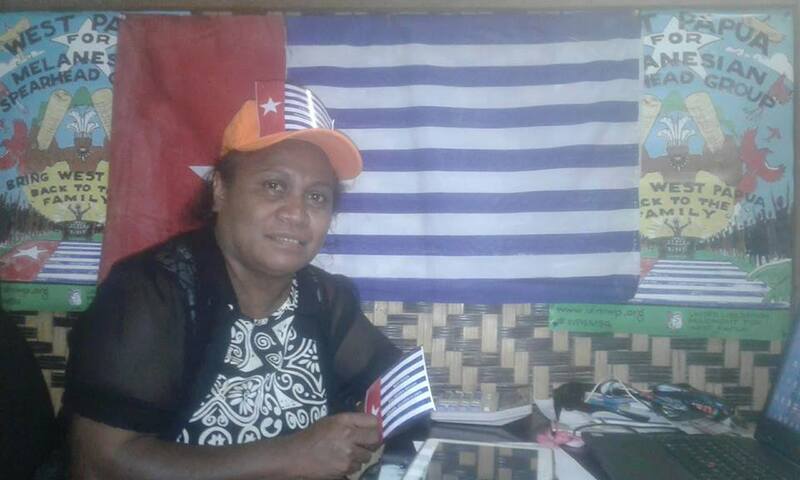 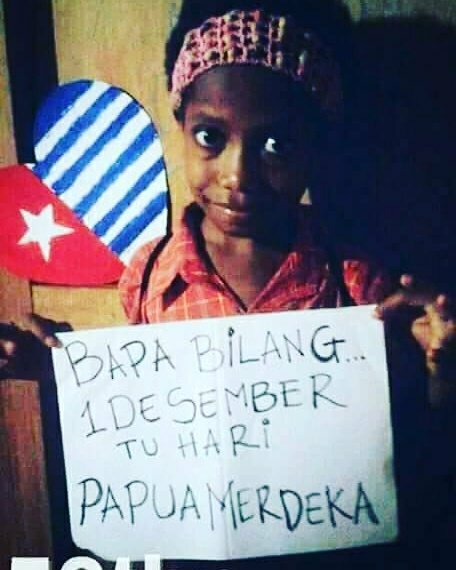 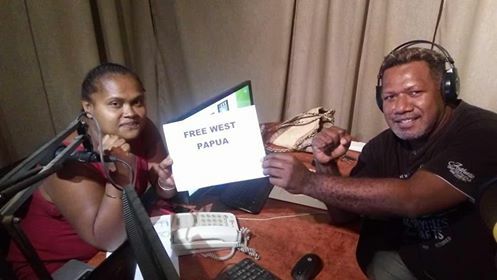 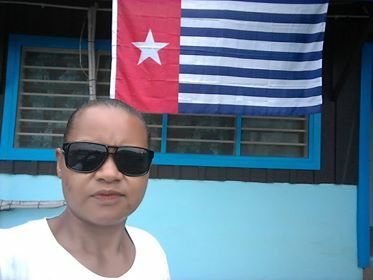 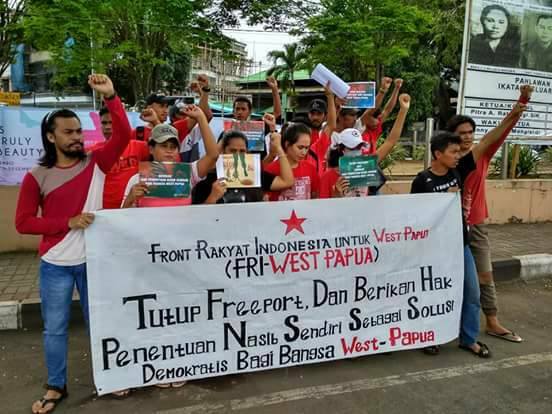 “I would like to sincerely thank everyone around the world who raised the flag of the West Papuan people on December 1st in solidarity with our freedom struggle. 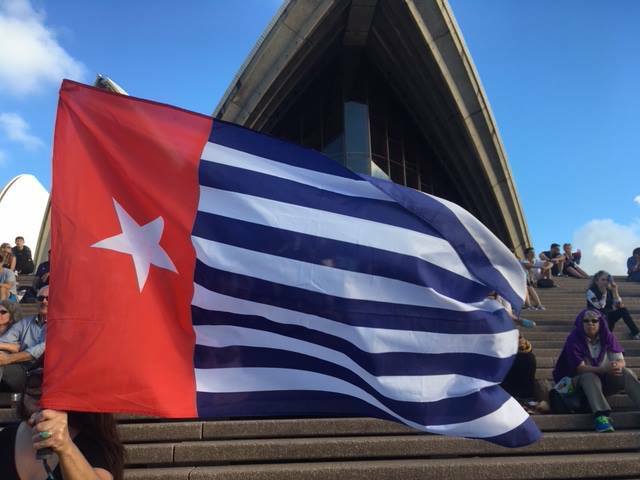 When you raise our flag, you are not just raising a star into the air but you are raising awareness, raising support and above all raising the hope of a nation and a people who have long felt forgotten by the rest of the world. 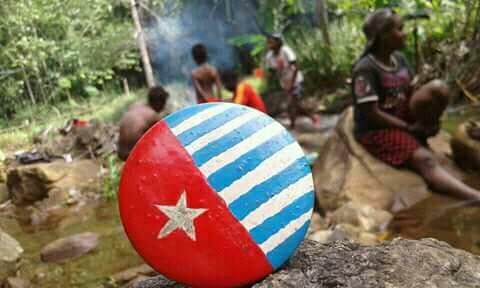 You give strength to my people and give hope to our freedom struggle. 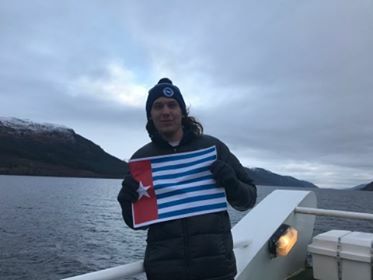 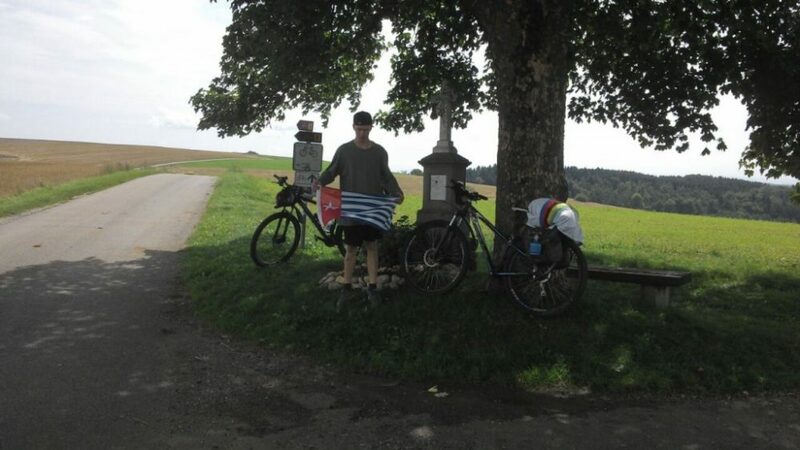 Knowing that we have not been forgotten but are supported by people across the globe means everything to us and we are deeply inspired and moved by your true expressions of humanity and compassion. 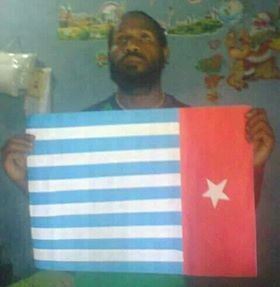 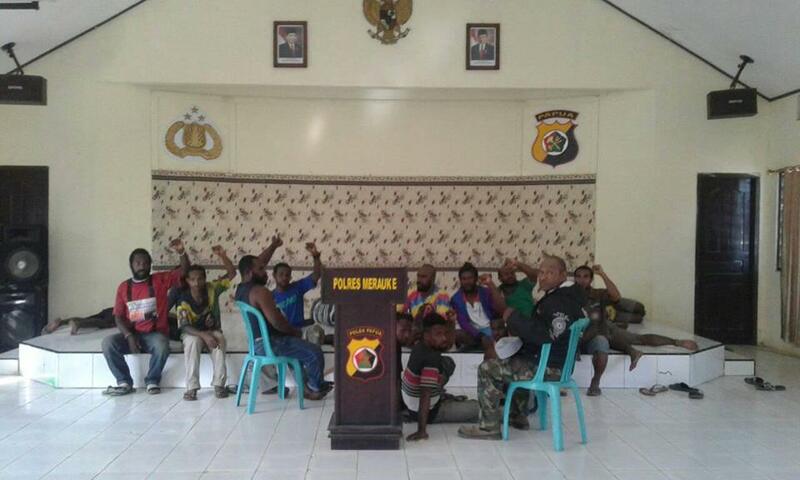 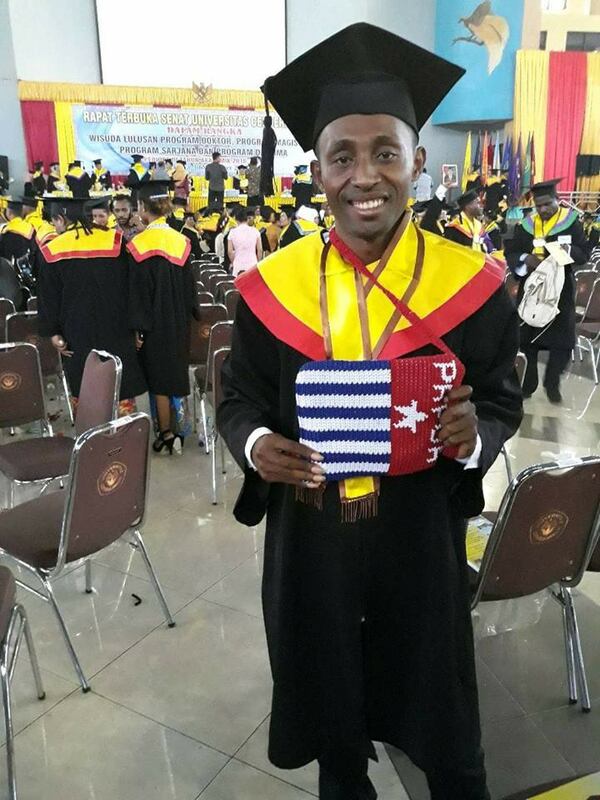 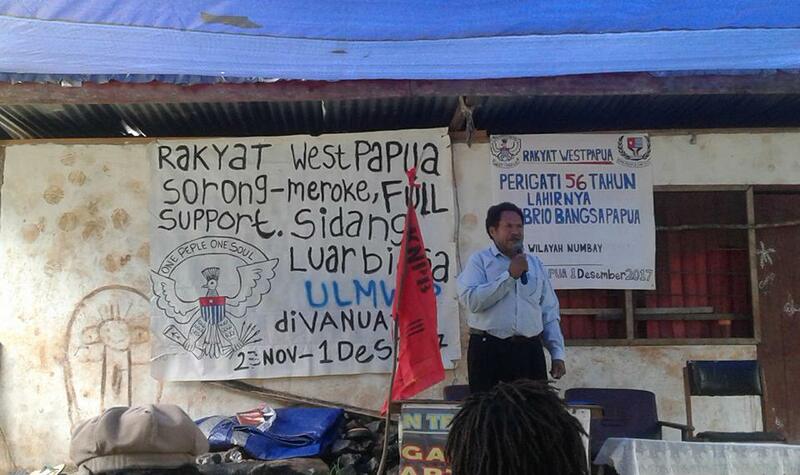 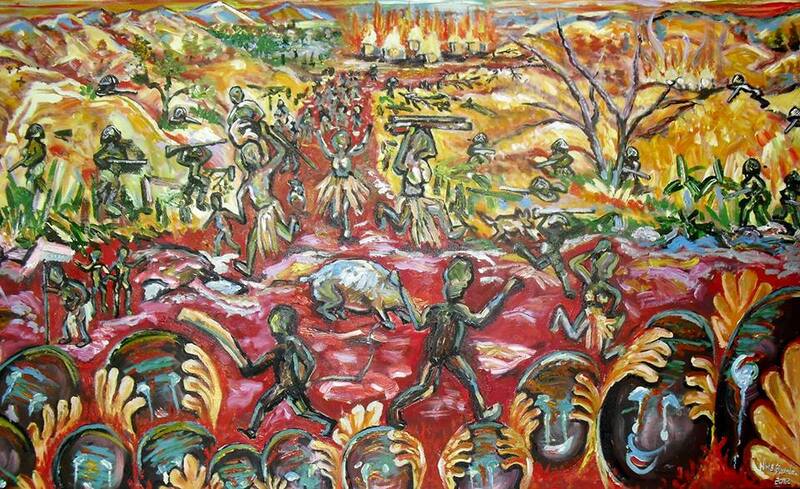 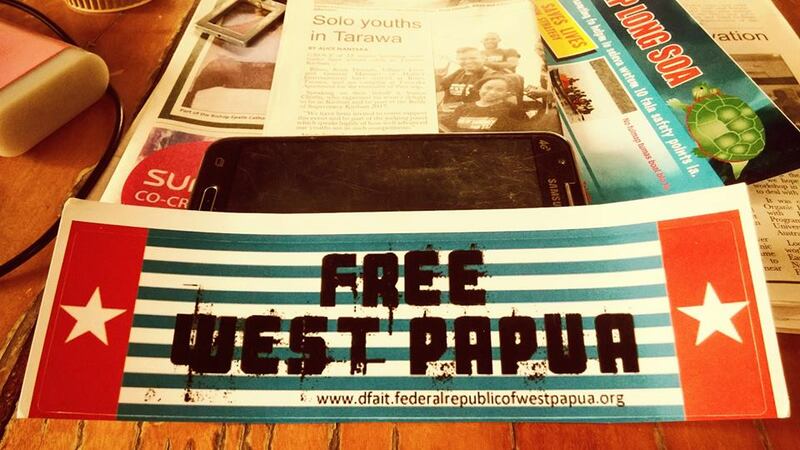 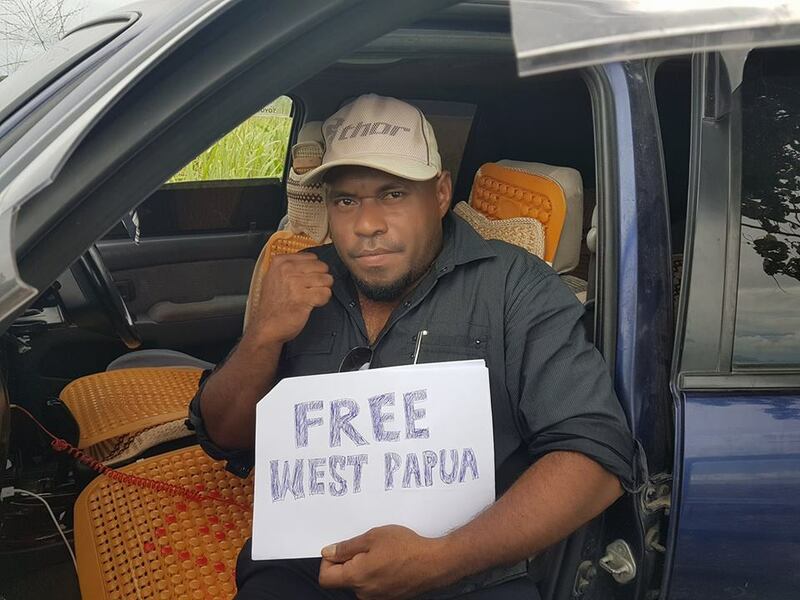 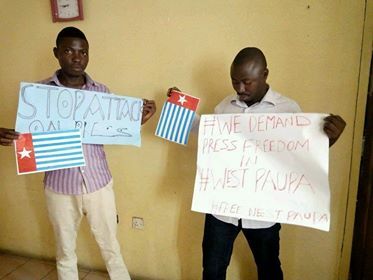 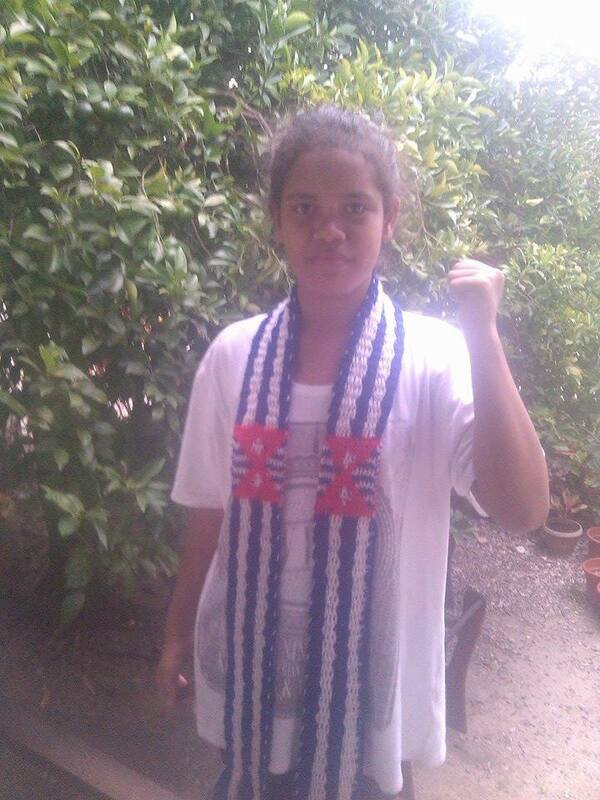 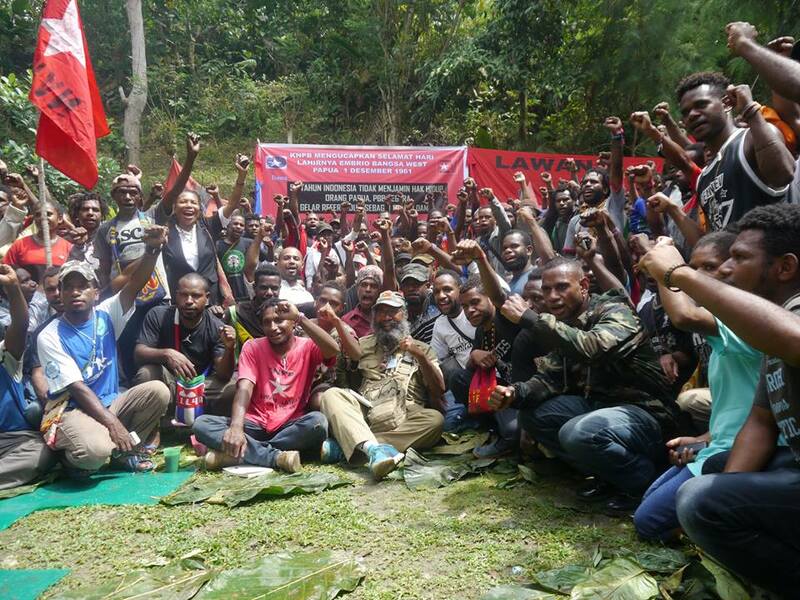 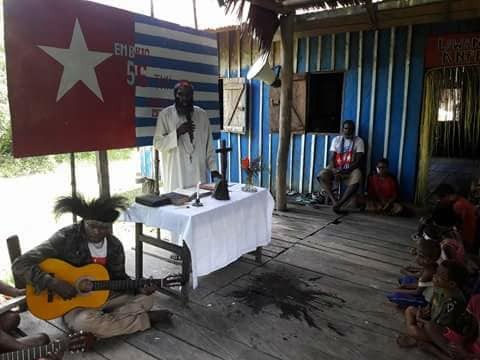 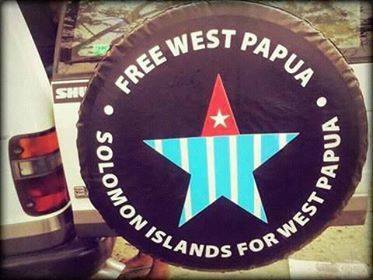 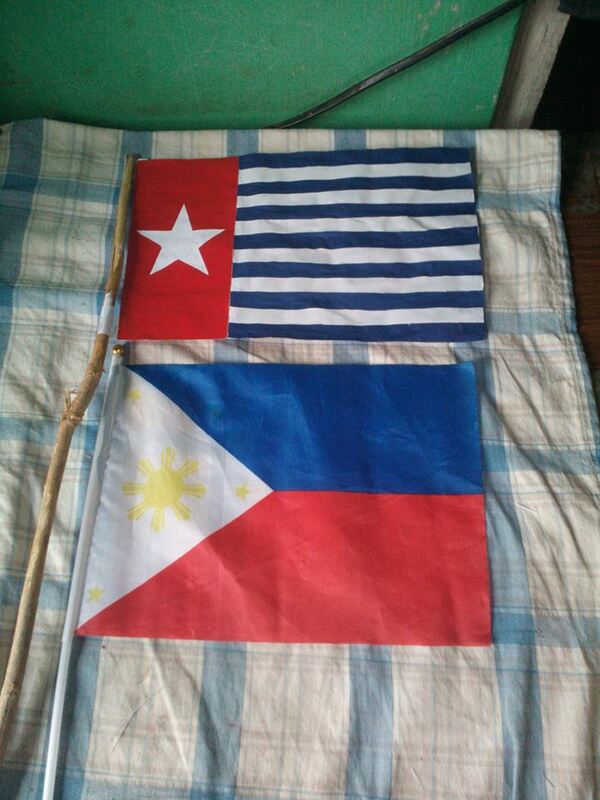 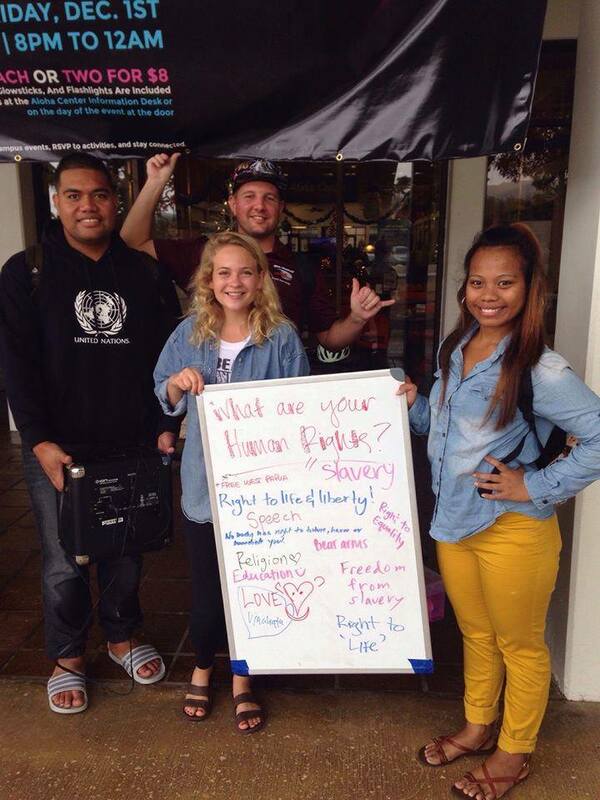 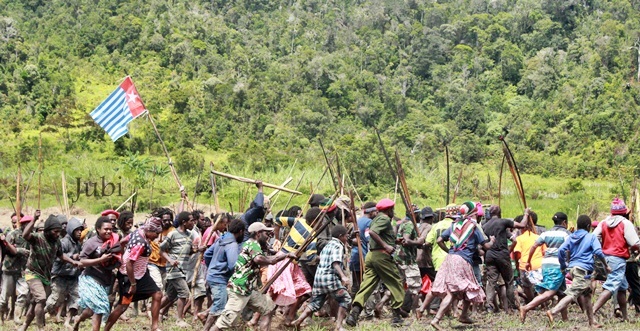 You are the voices of the West Papuan people in your countries and your actions will be recorded in our history. 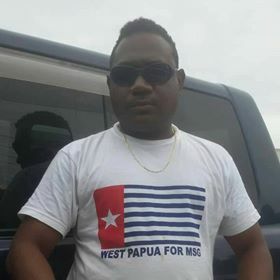 Wa wa wa”. 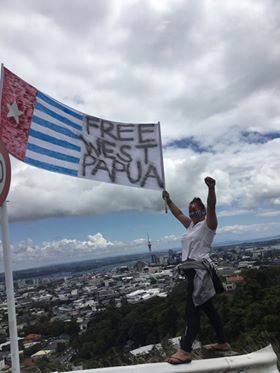 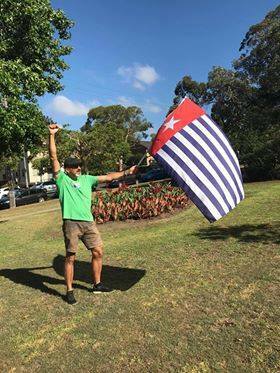 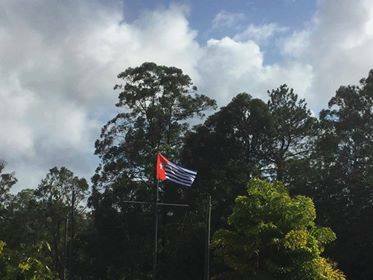 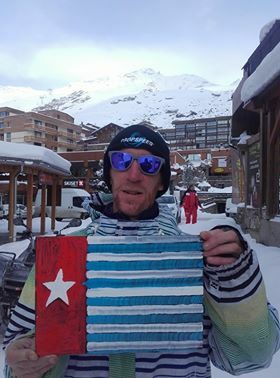 We would like to join Benny Wenda in thanking YOU, all of you, all around the world for taking the time and effort, however great or small to raise the West Papuan flag on 1st December and every day before or since. 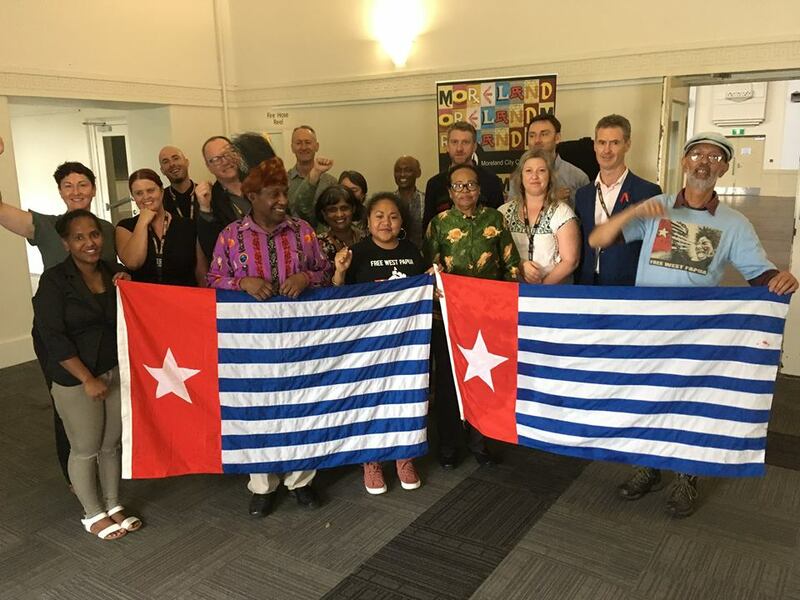 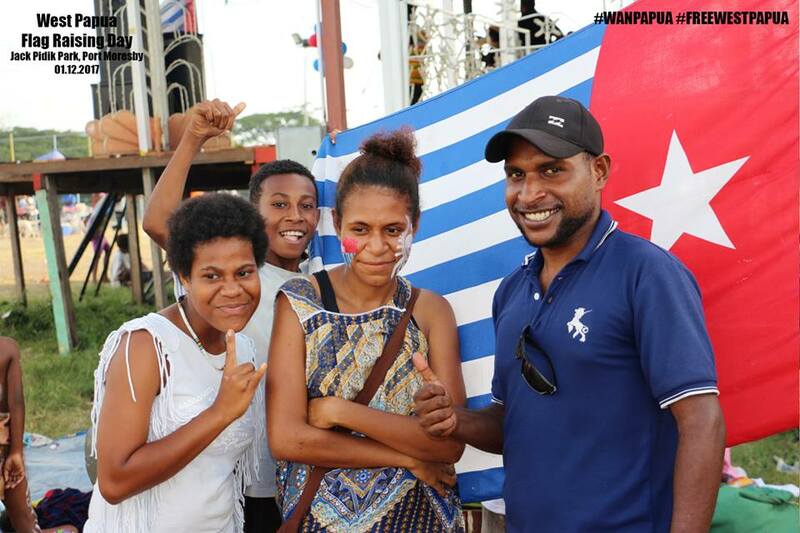 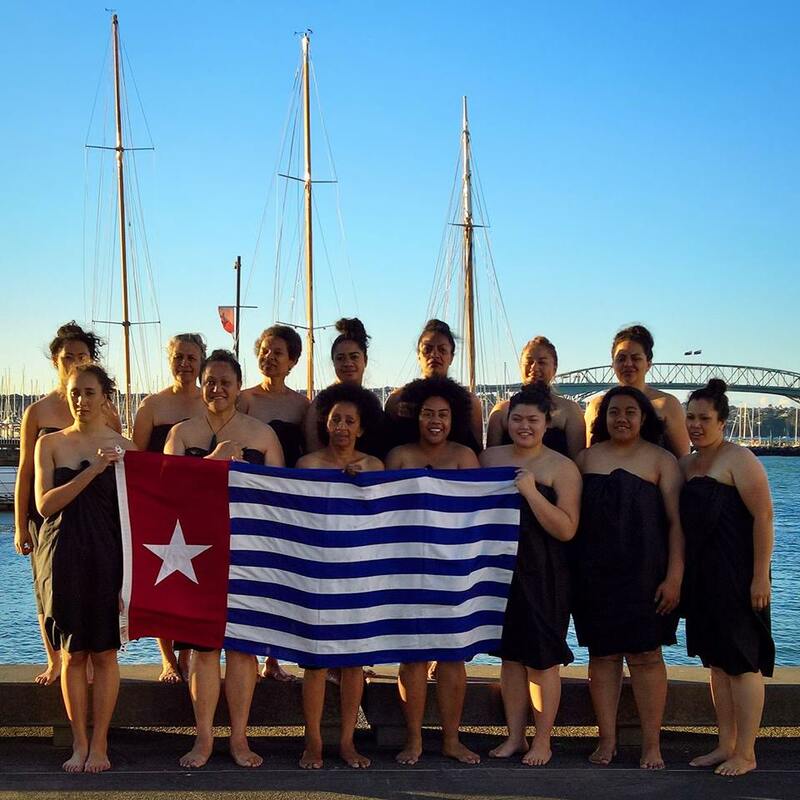 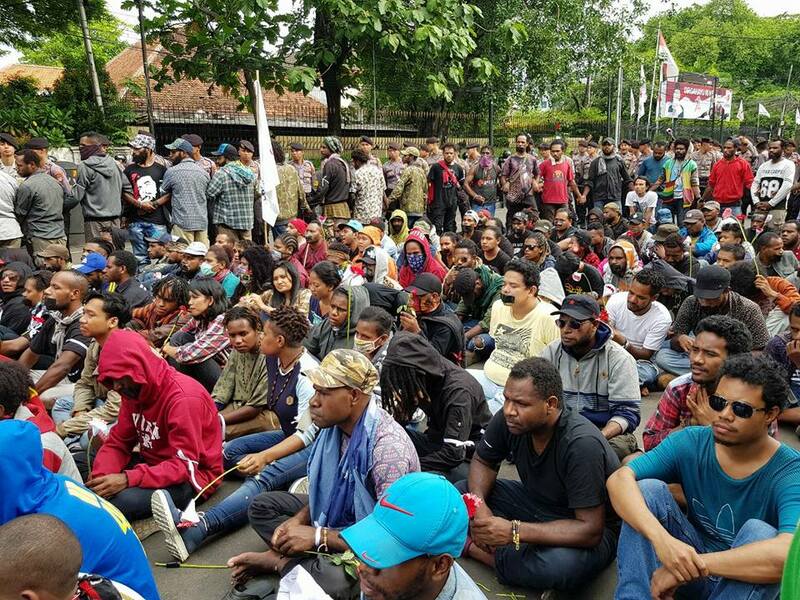 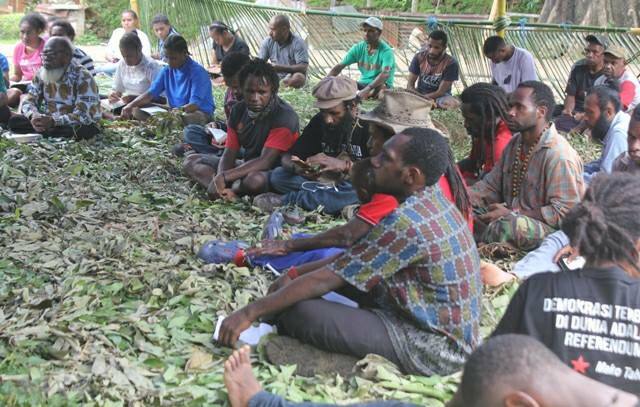 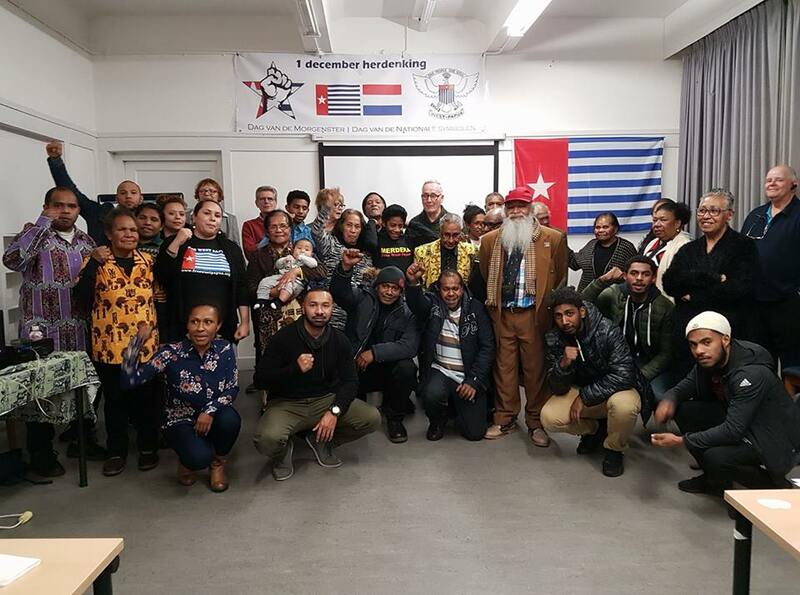 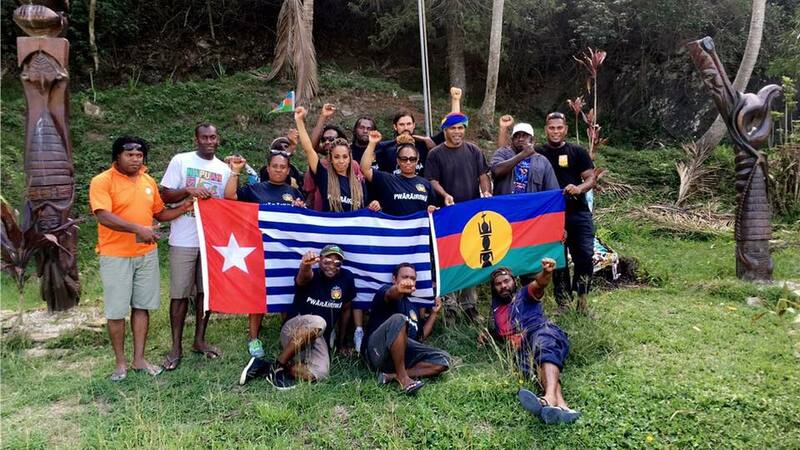 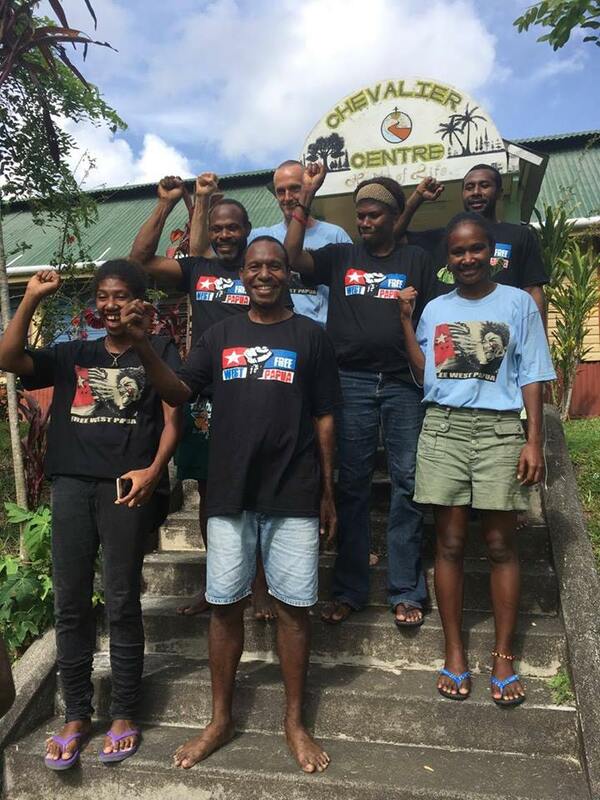 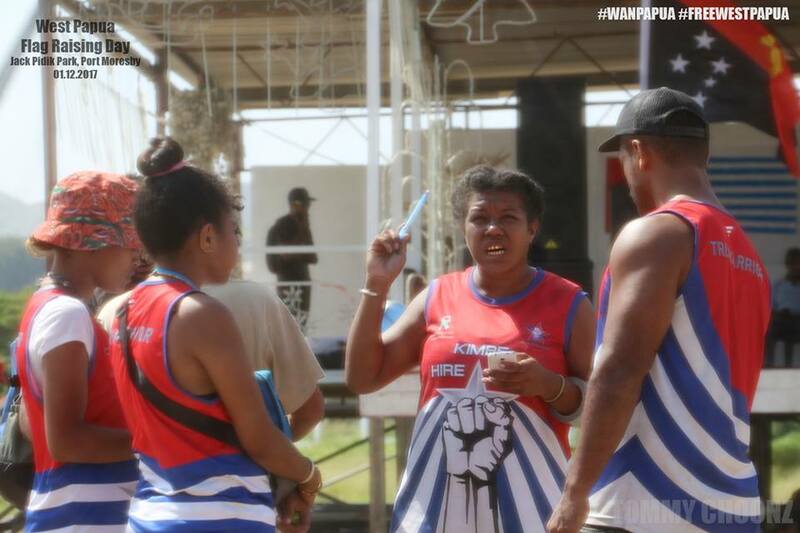 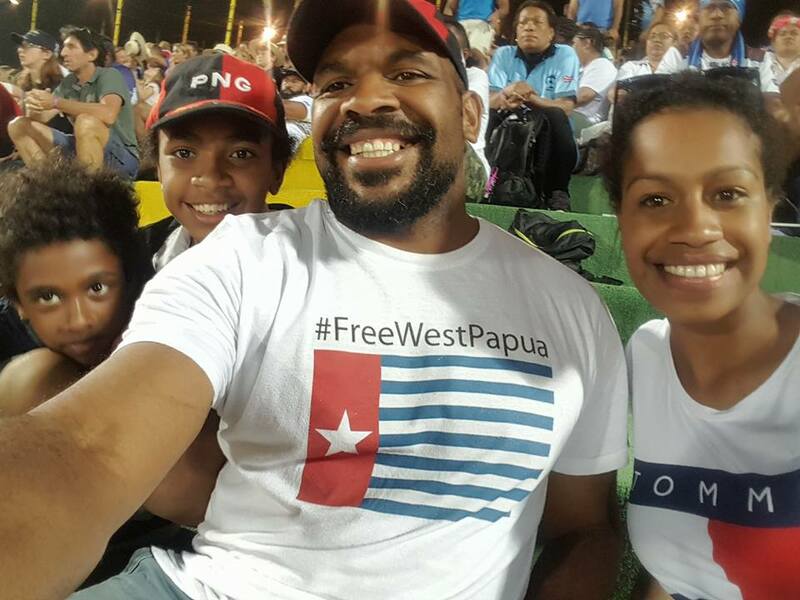 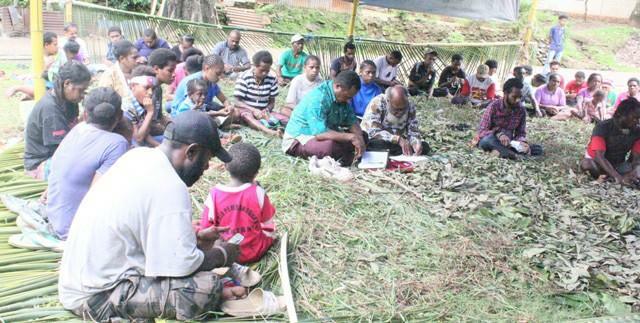 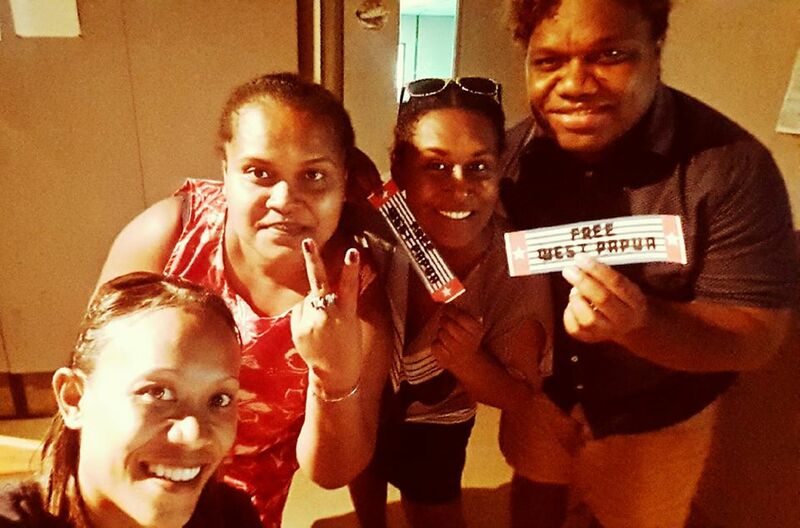 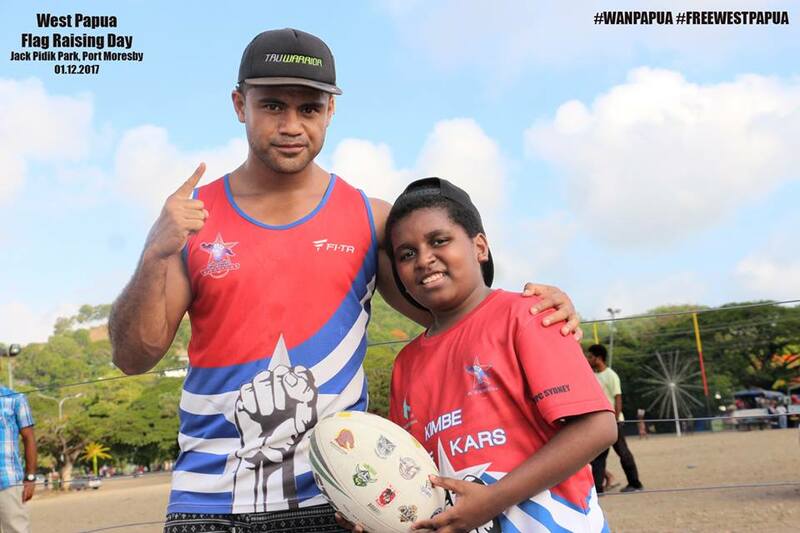 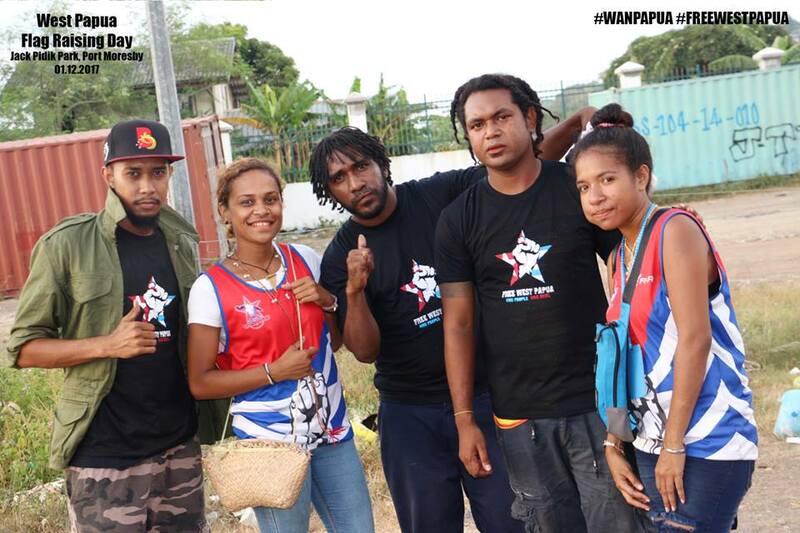 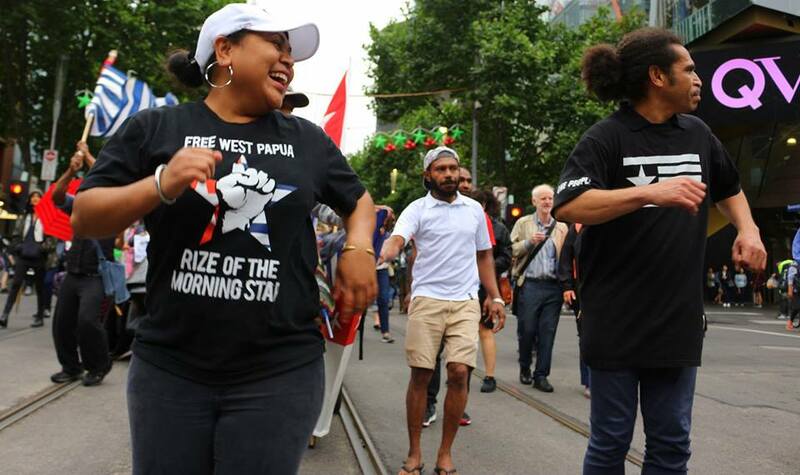 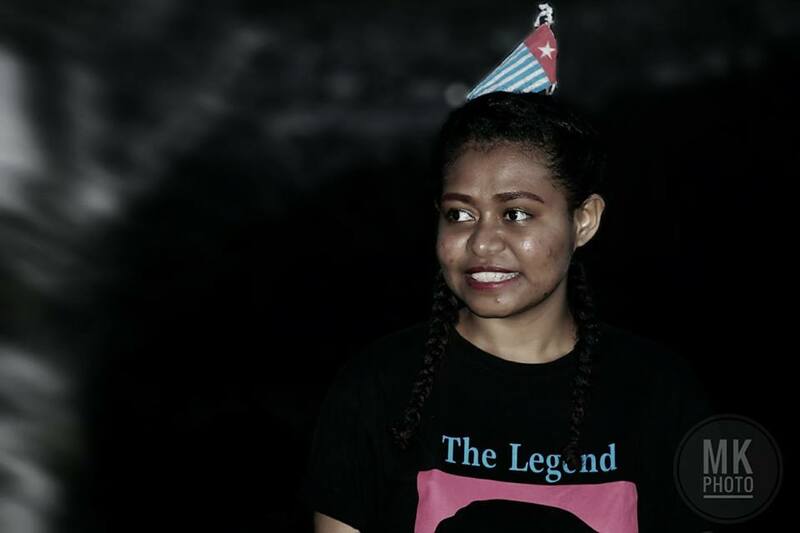 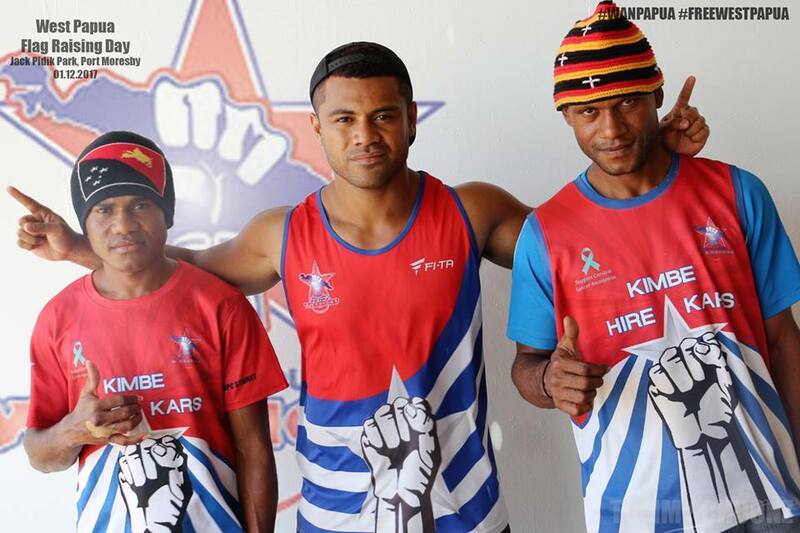 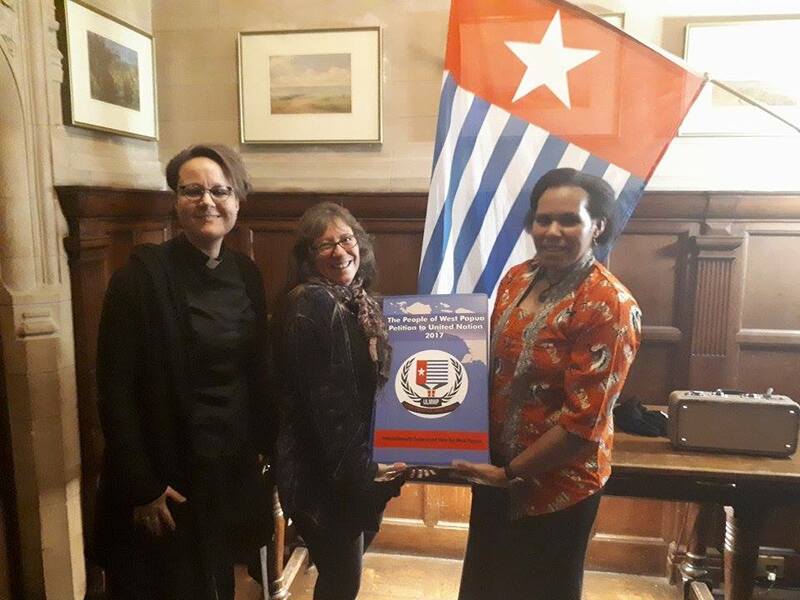 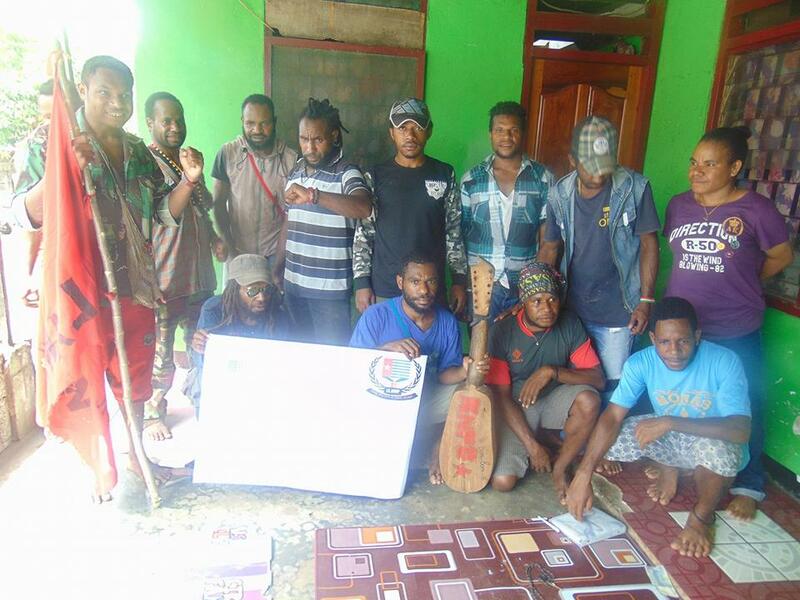 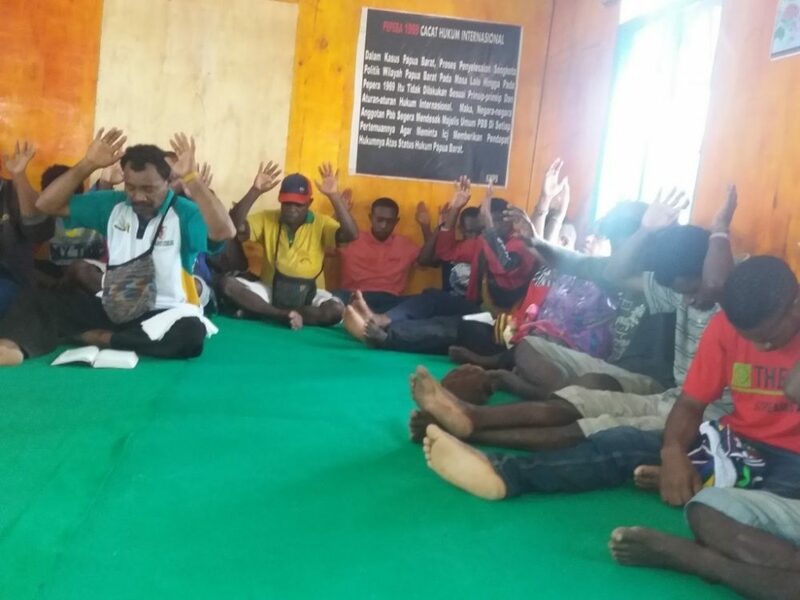 From minors to MPs, the efforts of everyone is so deeply appreciated and is making a big impact in terms of crucial awareness, support and networking for West Papua. 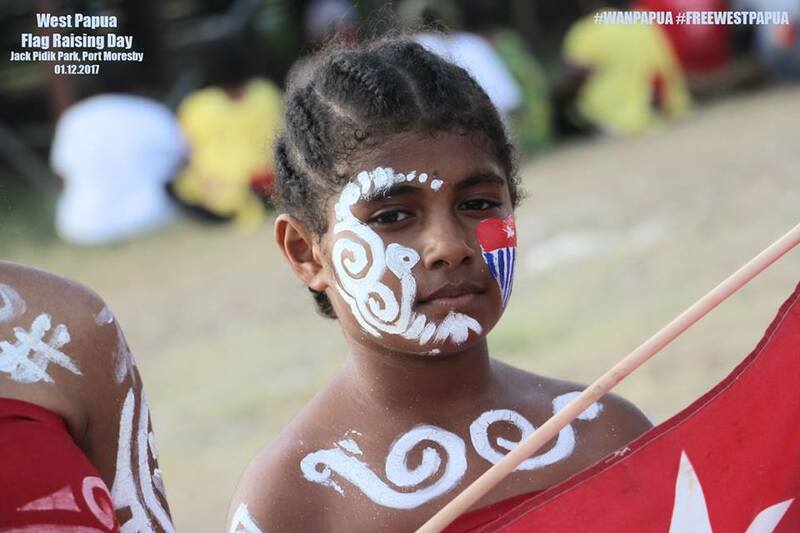 We will be announcing the winners of the prize for the best photos we feel were taken soon. 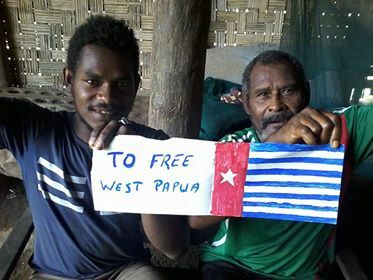 Until then, please keep up the amazing work and keep spreading the message! 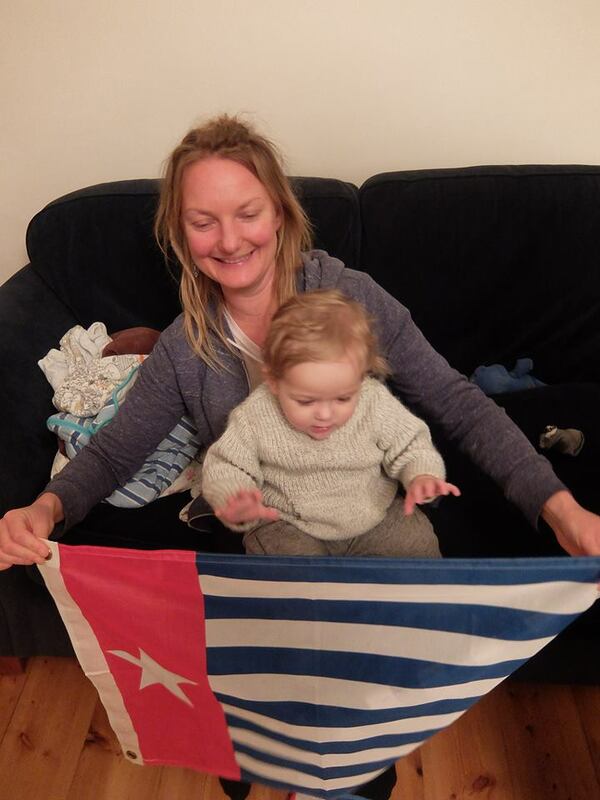 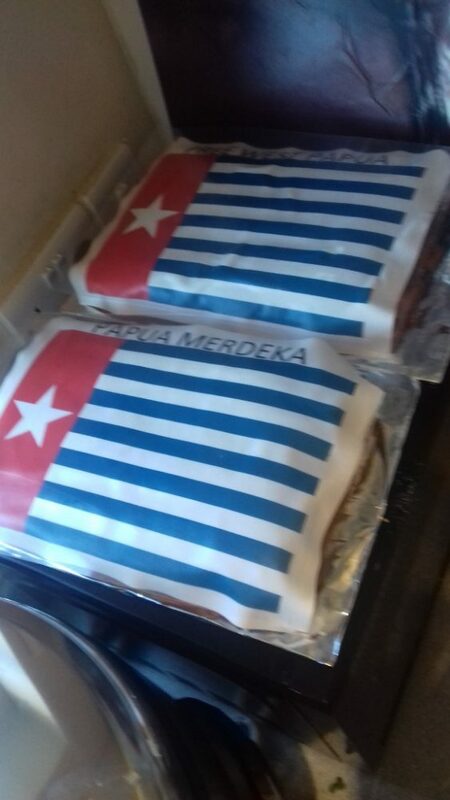 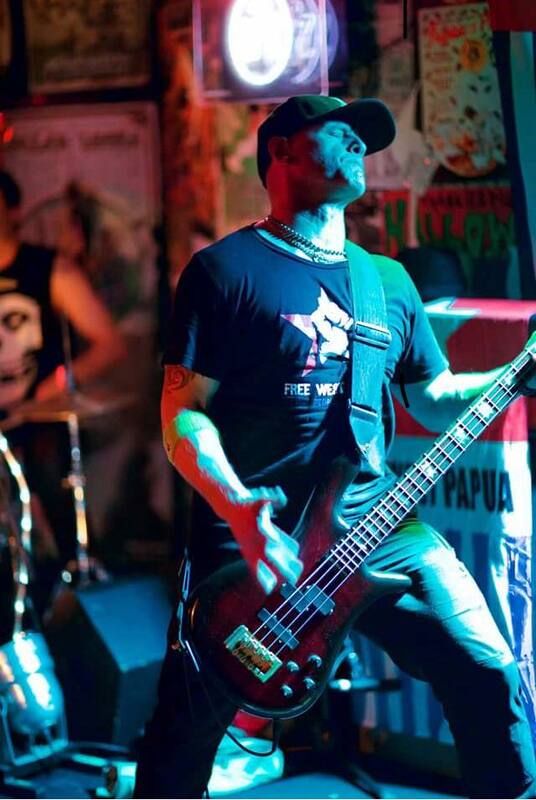 We wold love to hear form you about helping West Papua in the future so if you have any ideas, questions or info, please do not hesitate to Contact Us. 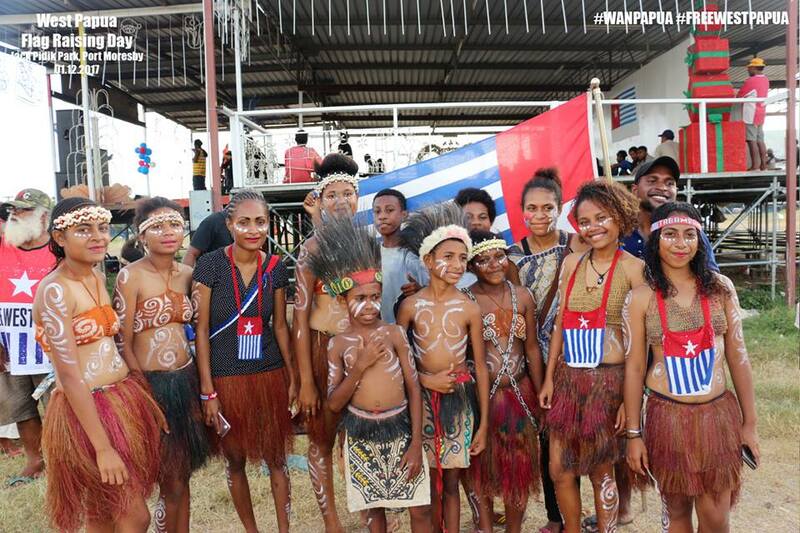 Take a look at the incredible photos from the Global Flag Raising for West Papua 2017 below!